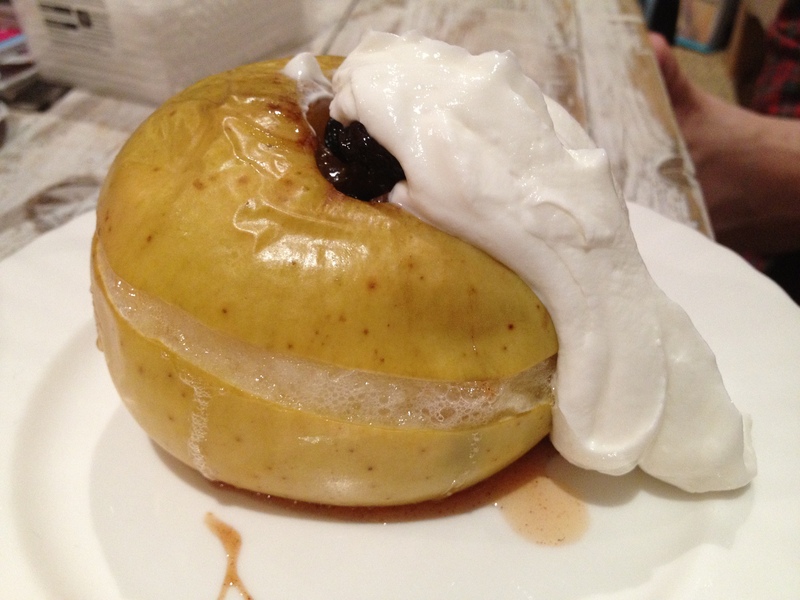 I’m just a little bit in love with jewish food. I mean, what’s not to love? Chicken soup, bagels, pastrami, latkes, pickles, salt beef- it’s the ultimate comfort food. I must say though that it’s the salt beef and pastrami that really has my heart. Now i’m not saying that i wouldn’t miss pork, life without pancetta or a herby sausage would be pretty unthinkable for me. However, not being able to eat pork led to a need for cured beef products and the birth of these wonderous things and for that i will be eternally grateful. It’s also something that’s pretty hard to get hold of in the Bahamas and as a result it’s something i always crave upon my return. Usually this means a trip to my favourite Brass Rail in Selfridges for a well deserved pastrami sandwich (or if i’m really hungry then a classic Rueben- they’re GIANT). I decided to change all this yesterday though, it seems silly that something so easy to make is something i always neglect at home. 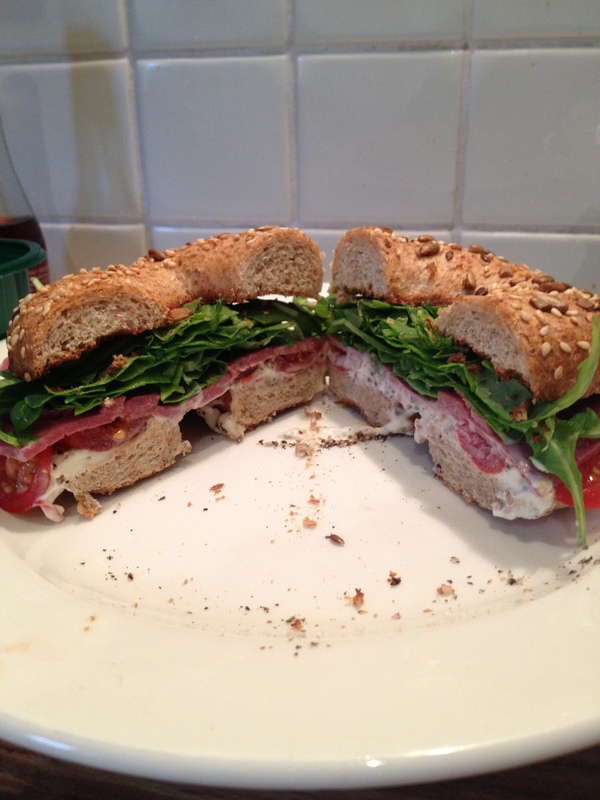 it also helps that these can be assembled in no more time than it takes to toast the bagel meaning that these are a great lunch when you don’t have the time to be too leisurely about things (or when you’re just too hungry to wait). Cut each bagel in half and pop them in the toaster, use whichever type of bagel you prefer, i went for multigrain and the boy went for onion. Mix together the cream cheese both types of mustard and some black pepper, you don’t need any salt as the beef is salty enough. 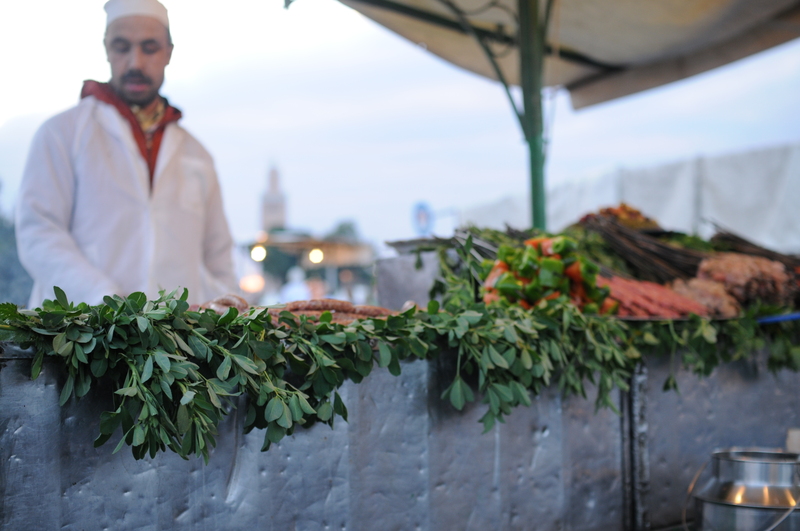 Finely slice the cherry tomatoes and wash the rocket. 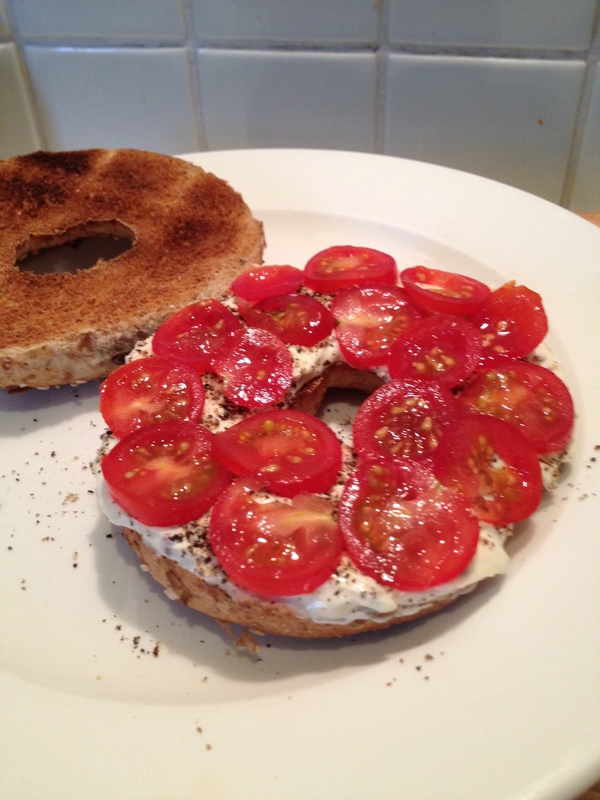 Once the bagels are toasted, smear the cream cheese thickly over half of each bagel and top with the sliced cherry tomato. 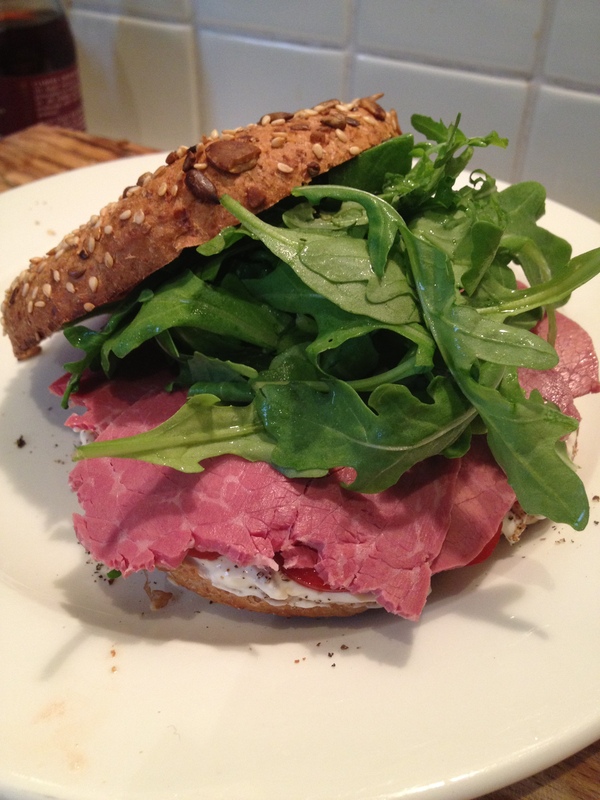 Then add 1.5-2 slices of salt beef and top with the rocket. Put the top of the bagel on and cut in half. 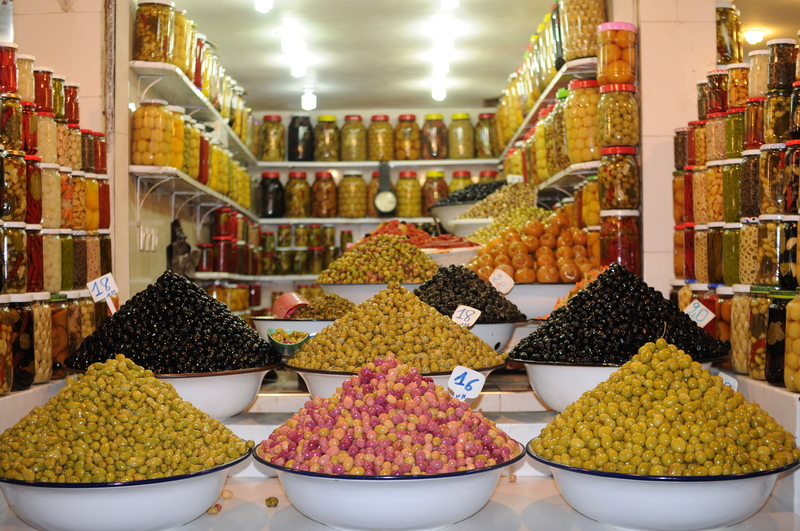 Obviously you don’t have to do this but i would imagine it would be quite a challenge to eat whole! So we’ve had the super speedy recipe, now time for something that involves a little more effort, something for those of you whose ideal morning is one spent baking. Or if it’s not but you feel like putting in a bit more effort than you usually have time for. Or if you just think, damn they look good, I’m going to give those little buggers a whirl. All i would say is, do it. These are SO much better than anything you’ll buy in the supermarket and once toasted, with a lick of butter, they are positively dreamy. 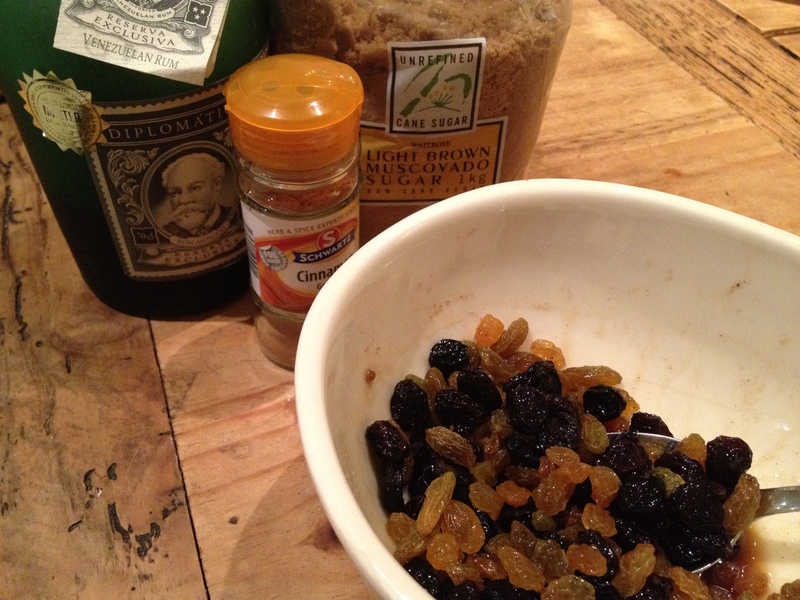 Now for the bit that some of you might hate me for, you will need a stand mixer to make these. 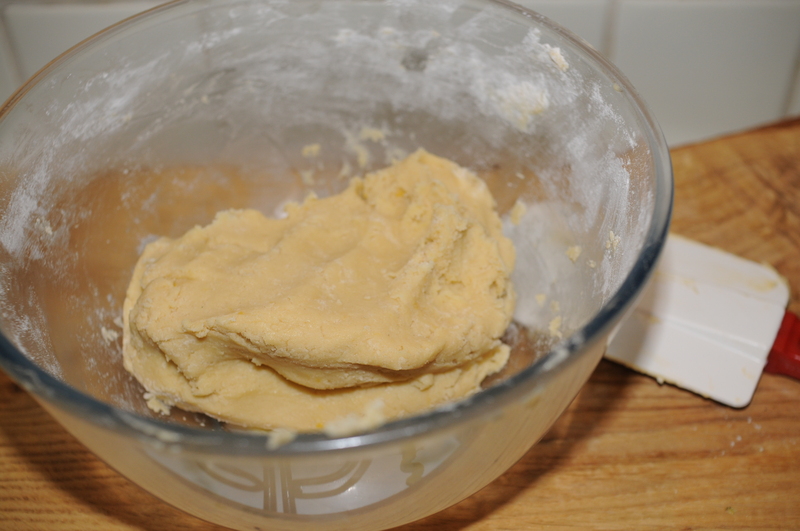 The dough is similar to a brioche and as a result is quite wet and takes a LOT of kneading, in short, without the help of a stand mixer, it would take forever and you’d be cursing me all day long for making you embark on such a task. With a mixer however, it’s pretty simple and doesn’t involve much more than plonking a load of ingredients into the bowl, flicking the switch and letting it get on with it. 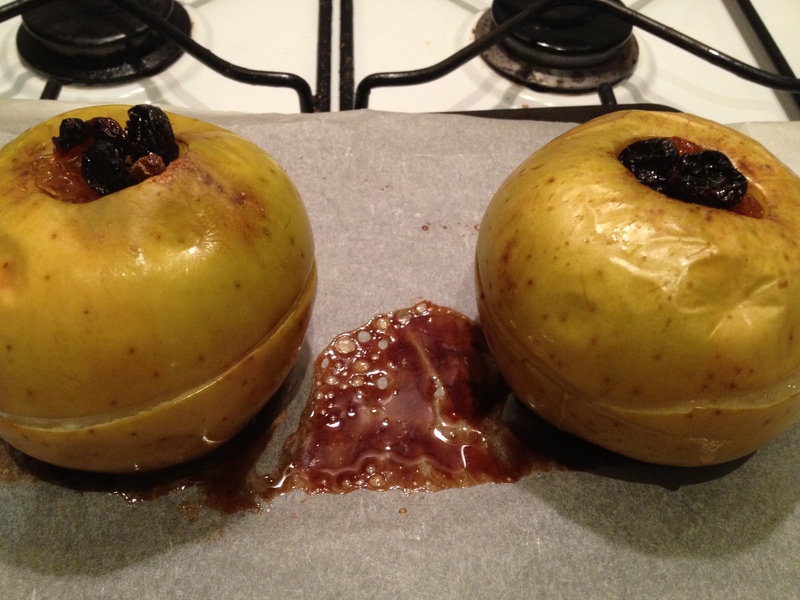 They’ll also freeze really well so you’ll have a delicious tea time treat at just a moments notice. 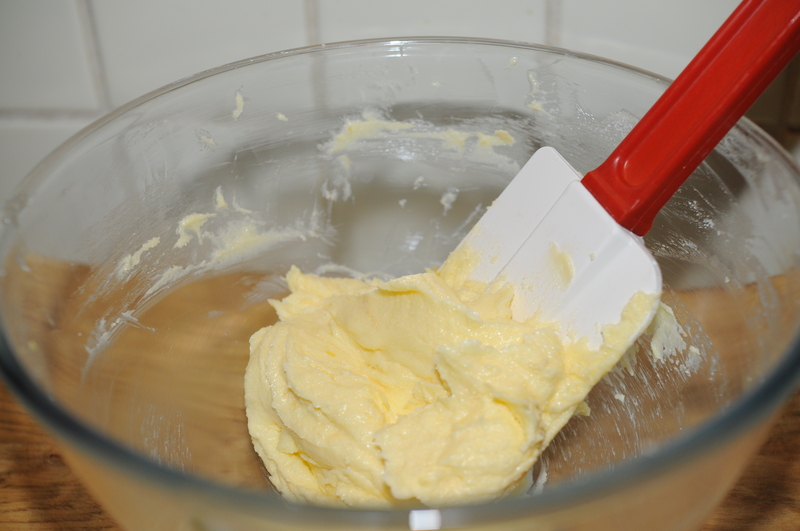 Sift the flour, sugar and salt into the bowl of a stand mixer then add the milk, egg, melted butter and yeast. 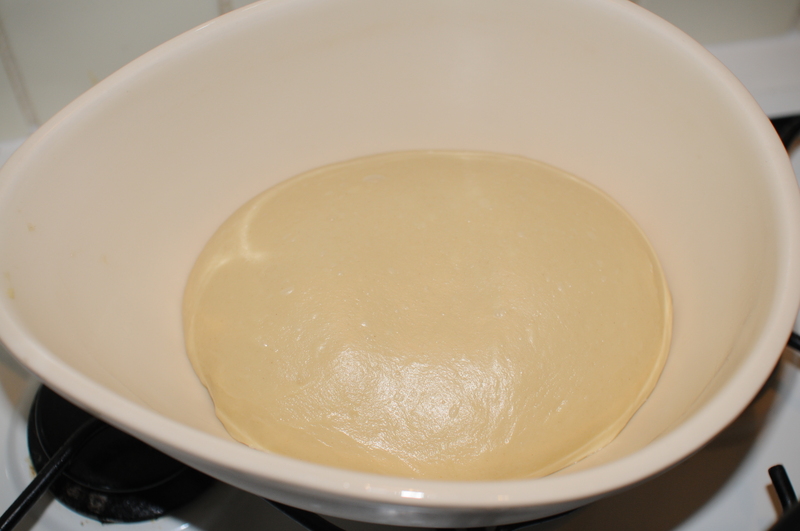 Form the dough into a smooth ball and place in a bowl, covered, to rise at room temperature for 20 minutes. 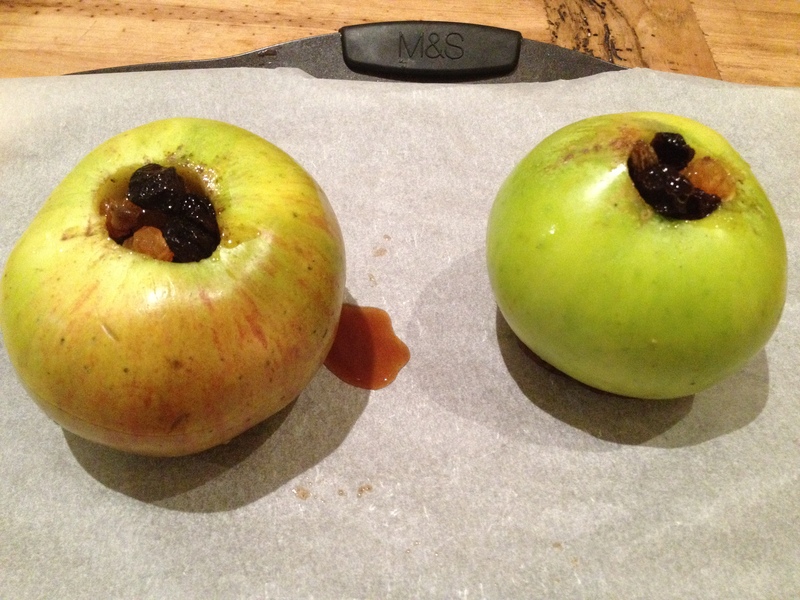 Next, pat the dough out into a rough rectangle (do not worry if yours, like mine, doesn’t turn out to be that rectangular…) and scatter over the mixed fruit. 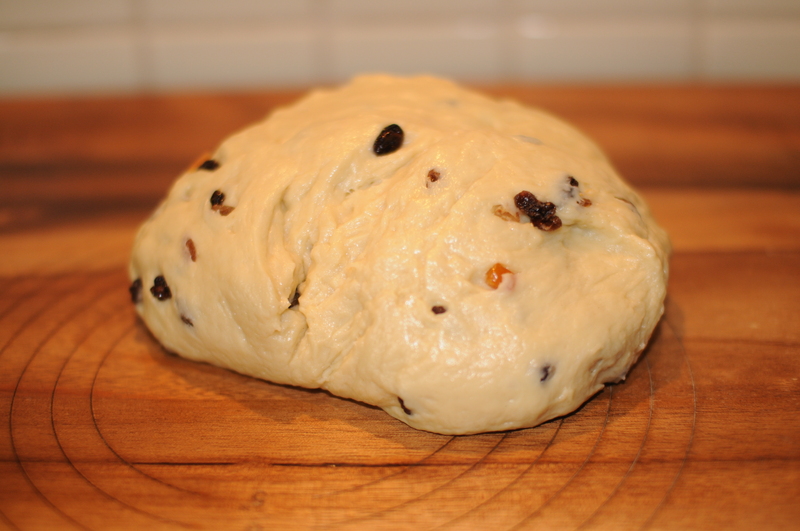 Now you need to knead the mixed fruit in so that it’s evenly distributed throughout the dough. I find that the easiest way of dividing the dough up is to weigh it out, i tend to make each bun about 40g-50g but obviously you can make them bigger or smaller depending on your preference, you just want them similar sizes so that they bake in the same time. 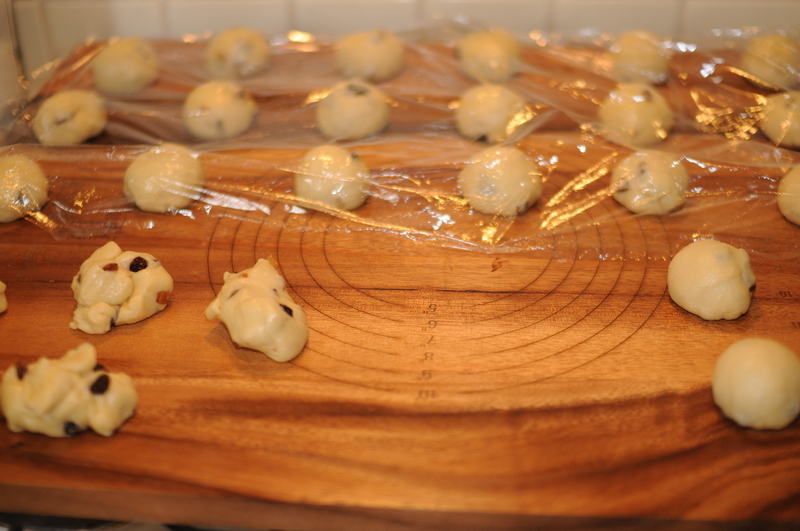 Roll each piece of dough into a ball, keeping them covered with cling film as you do the rest. Allow the buns to rise for about an hour. 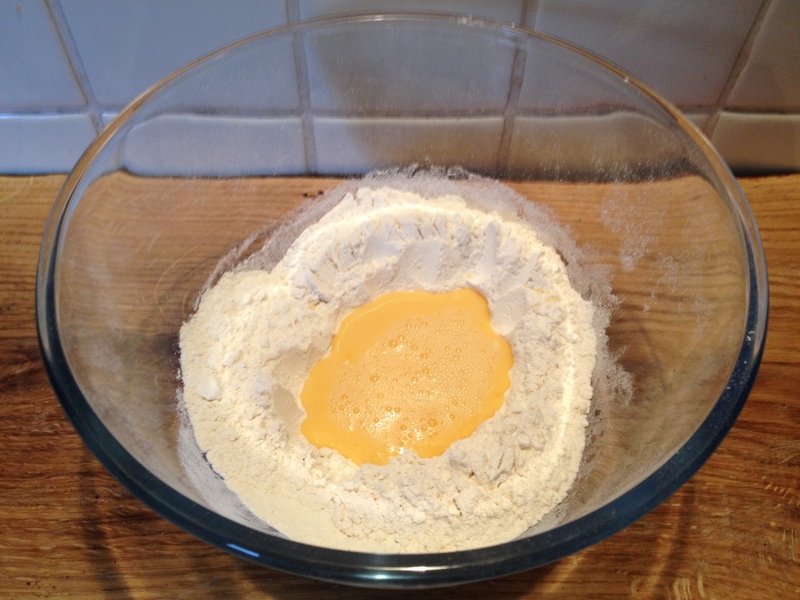 Whilst they are rising, make the crossing mixture, simply combine the flour and water and stir to get rid of any lumps. 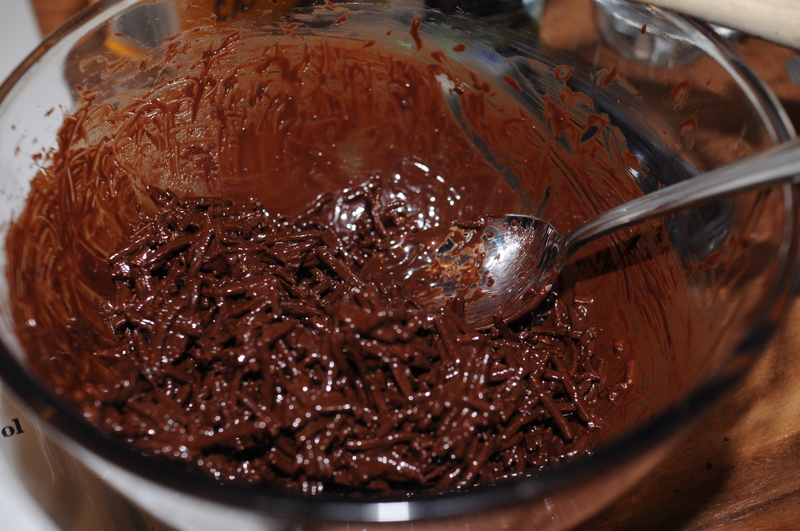 Put the mixture into a piping bag and put aside until needed. 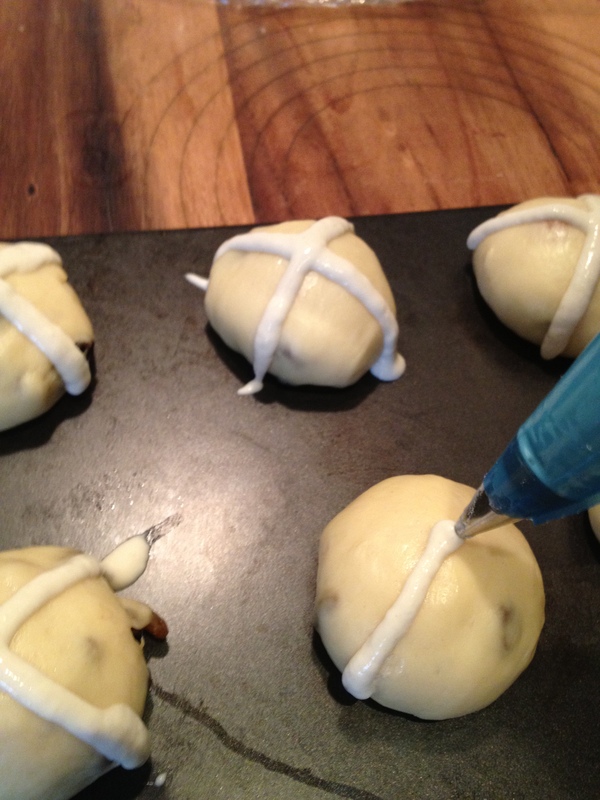 If you don’t have a piping bag, cut the corner of a plastic sandwich bag and use that instead. 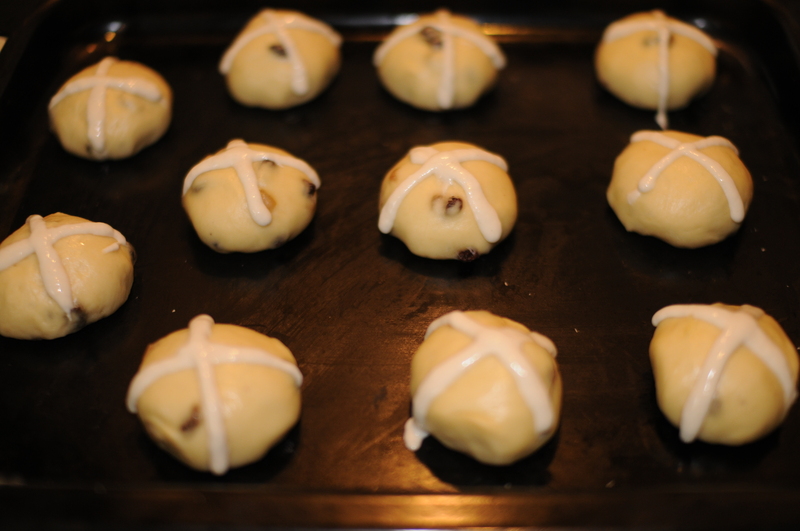 Once the dough is ready, put onto a baking tray and pipe the crosses over the top. 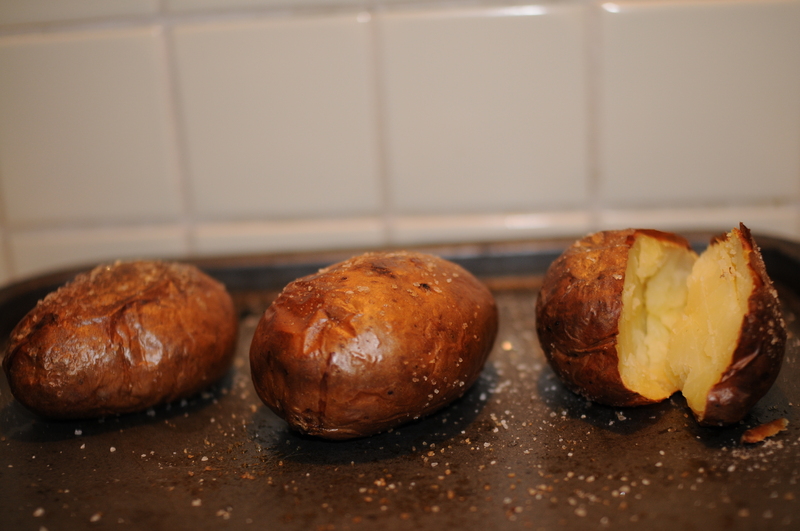 Place in a preheated 180C oven until golden brown. 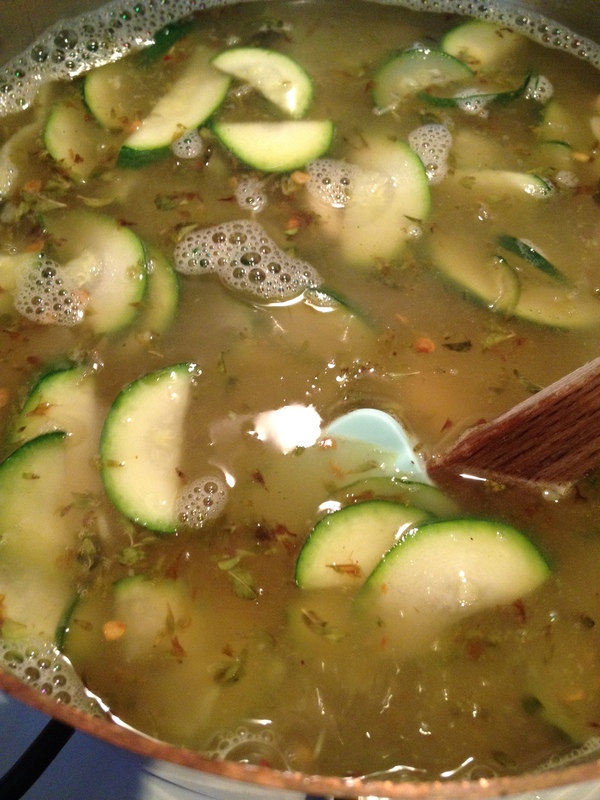 Whilst they’re cooking, make the spice syrup. 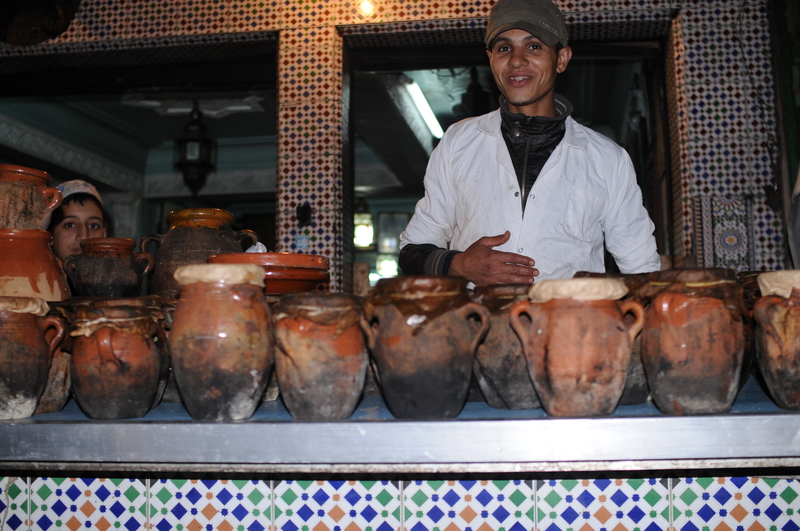 In a pan place the water, sugar and spices. Bring to the boil, then switch off and allow the flavours to infuse until you like the taste, you shouldn’t need the spices in there for that long. 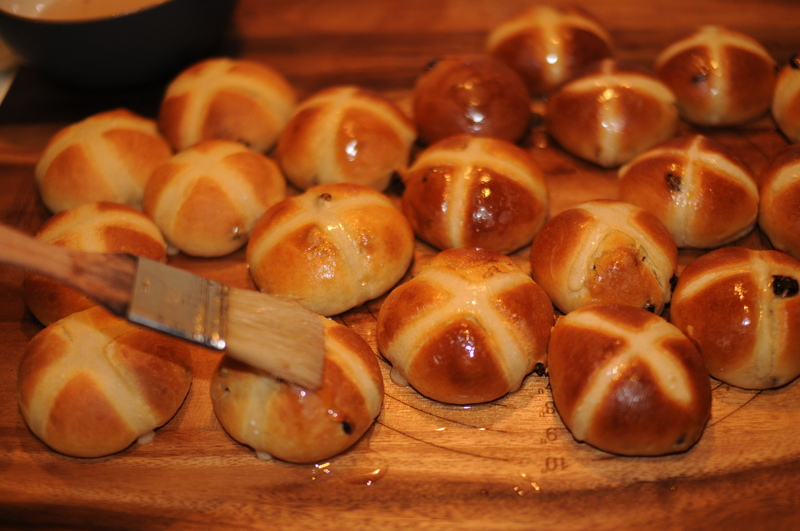 Once the hot cross buns are cooked, brush them generously with the spice syrup, making sure they’re well covered. 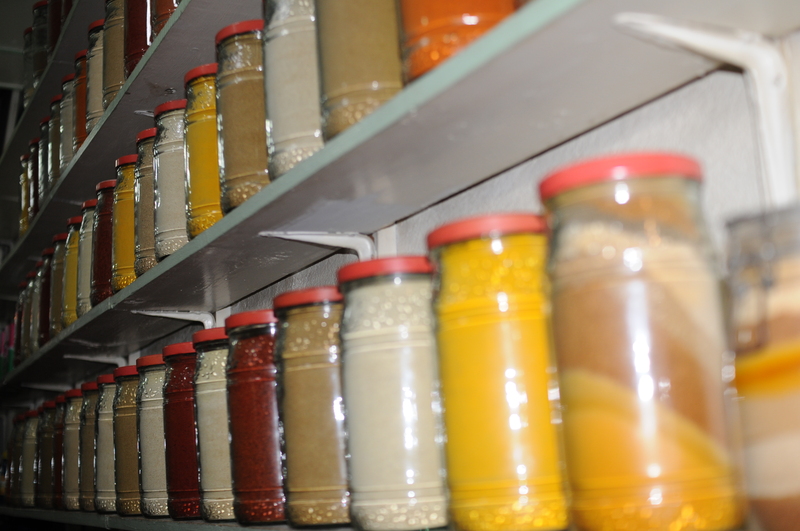 They will keep for a few days in an airtight container (if they last that long) or up to a month in the freezer. Originally I was planning on being a sensible, organised person and writing this up a few days ago but things tend to get in the way of my plans more often than not, so i thought tonight was better late than never. And at least we still have one more day of Easter to go, right? 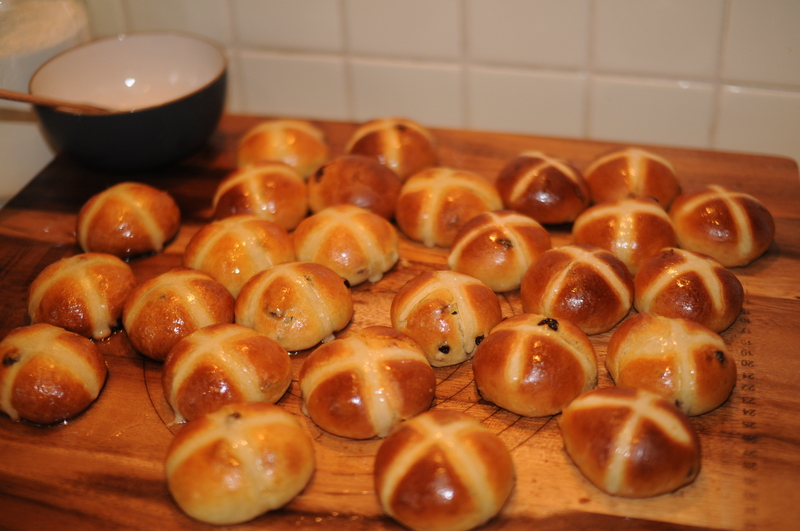 There are two things I make every year, chocolate nests and hot cross buns (because how can you possibly have Easter without hot cross buns? Seriously, that’s just ridiculous). 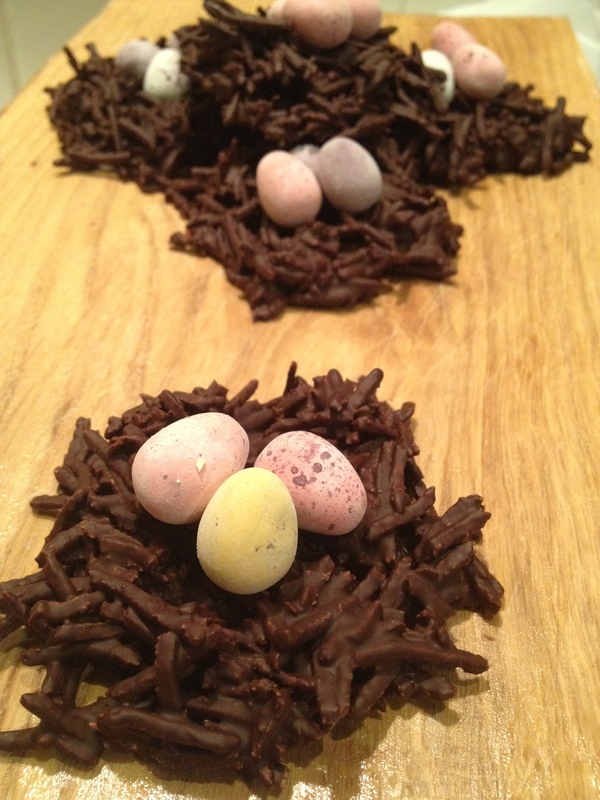 Also, I don’t know about you but my easter eating tends to go on much longer than this one single weekend. I was dilly dallying about which recipe to share but in the end I decided I wanted to share both as one is quick and easy and the other a little more time-consuming meaning that no matter how long you have to spend in the kitchen, be it a few minutes or a few hours, there’s something for everyone. 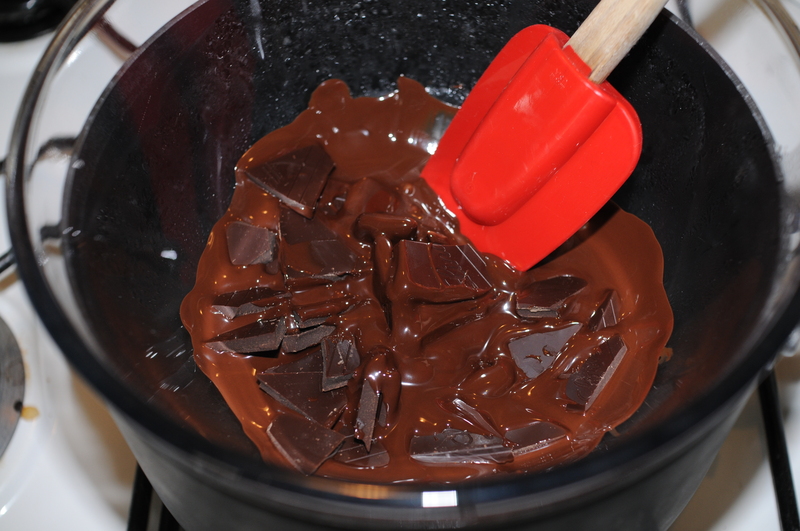 Melt your chocolate over a bain-marie (a bowl placed over a pan of simmering water). 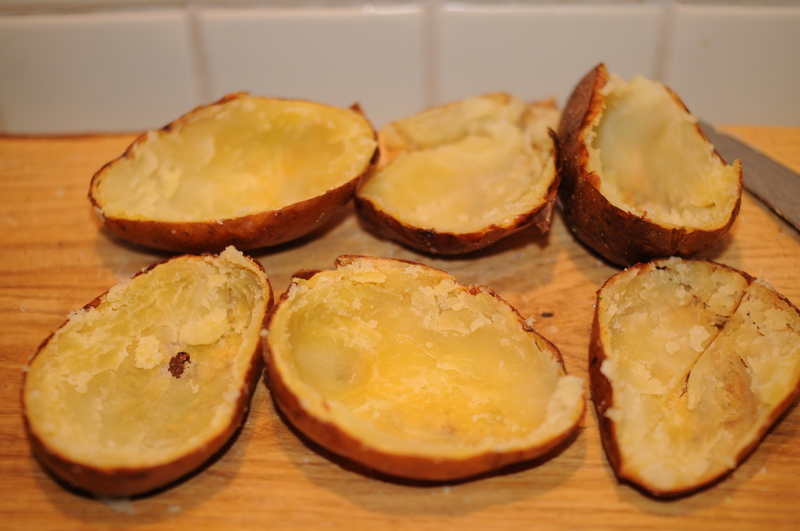 Once it’s melted, turn off the heat and add the butter. I don’t know about you but when I’m a bit ill and feeling a bit sorry for myself, what i want is comfort food. 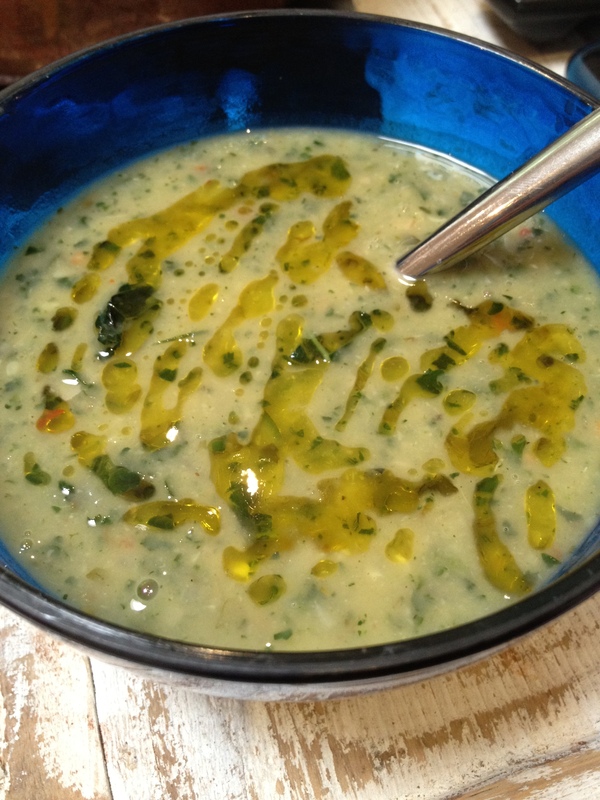 A bowl of something that’s going to pep me up and make my taste buds do a little jig as everything has a tendency to taste bland and boring. It also needs to be quick. This dish is perfect for such a mood. It’s also great if you’re tired/rushed for time/feeling a bit lazy or just want something light and fresh that feels so right with this gorgeous weather we’re having. I’m getting my garden furniture this week and i can’t wait to start having dinners outside. I think I’m just a little paranoid that this may be our summer (which is what happened last year) so I’m going to cram in as many long, lazy, alfresco dinners (and lunches, breakfasts, afternoon teas and brunches) as possible before it goes away. 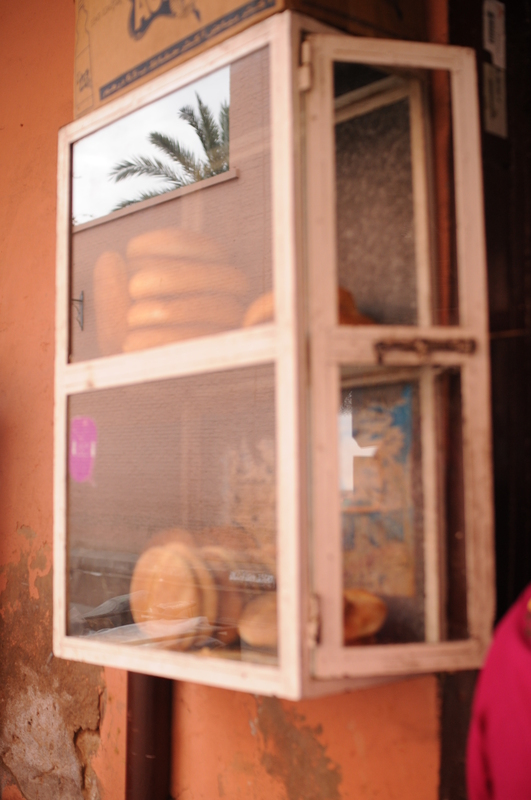 The time that we allocate to cooking in the warmer months is always significantly less than in the winter months. You want to be having cocktails in the garden or reading your book in the sun, not slaving over a hot stove. In the winter it’s perfect, it’s cold and rainy so there’s no temptation to leave the house and we quite happily while away the evenings making hearty soups and stews but not now. Now is the time for quick, light, punchy flavours that can be thrown together in the merest of moments. 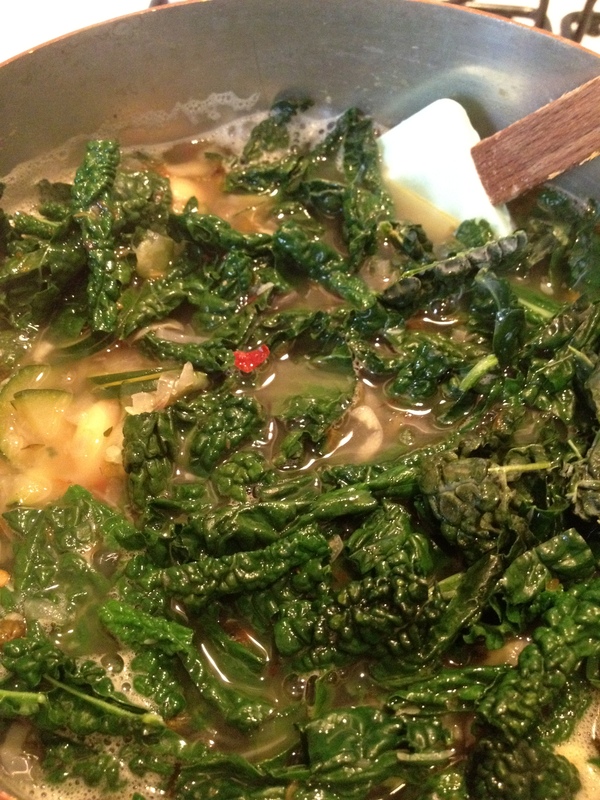 First up, get a big pan of salted water on to boil for your pasta. It’s really important to put quite a bit of salt in your pasta water- there’s an Italian saying that your pasta water should be as salty as the Mediterranean. 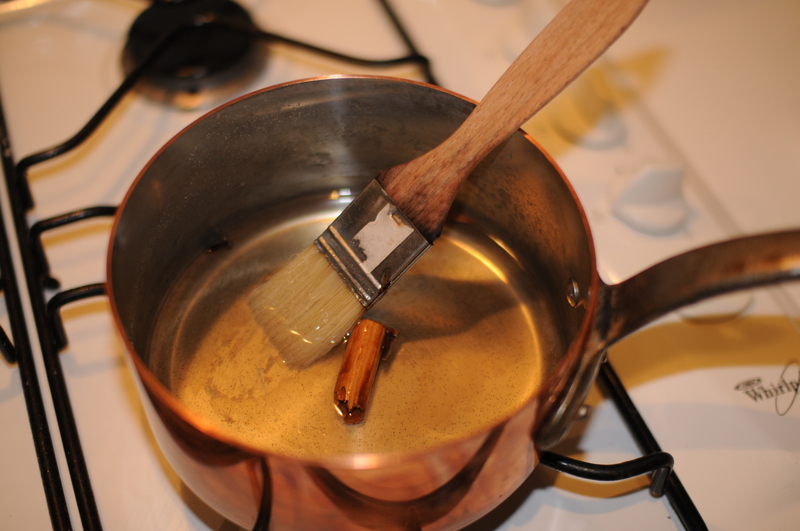 If you don’t do this, your pasta will be bland and dull and you’ll end up having to put far more salt in your sauce, all of which you’ll eat- most of the salt in the pasta water being poured away after the pasta has taken all that it needs. Next, chop your veg into bite sized chunks and finely slice your chilli and garlic. 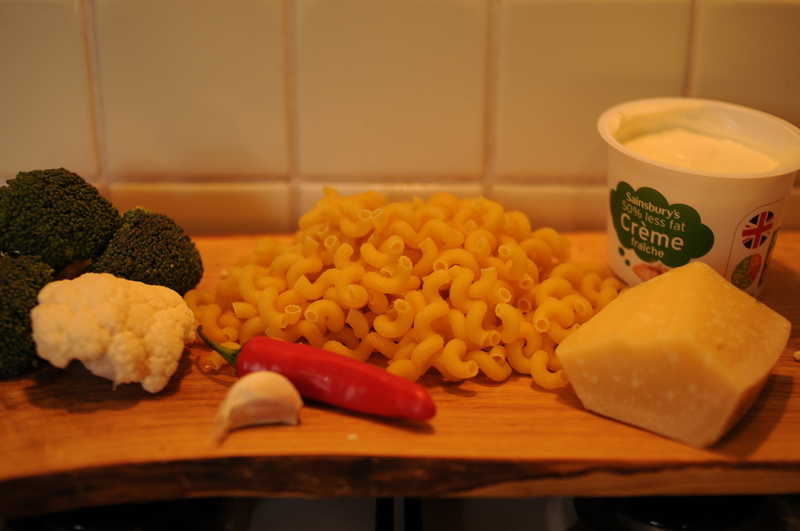 Cook your pasta, throwing the veg in for the last couple of minutes. 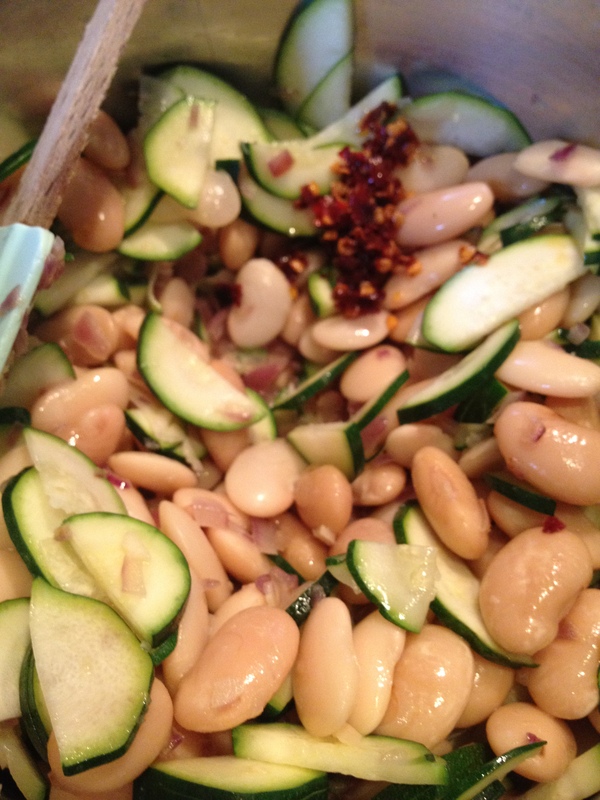 Gently fry the sliced chilli and garlic in a little oil until soft and then chuck in the cooked pasta and veg. 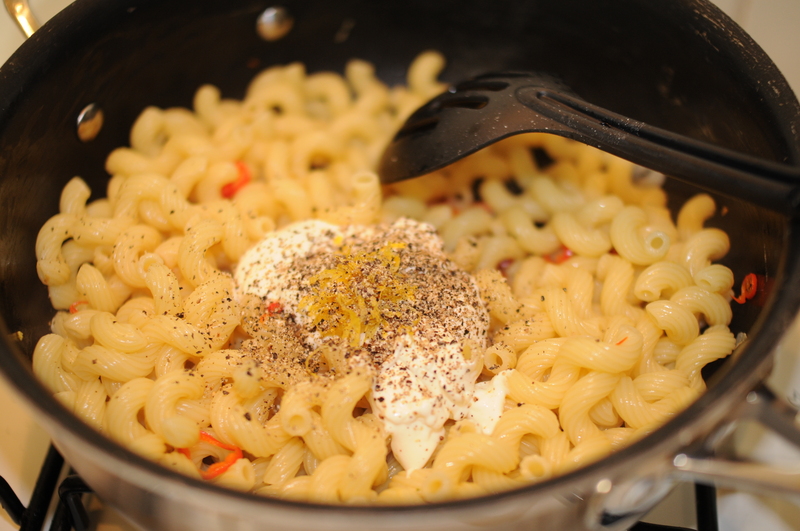 Keep a mugful of the pasta water as it’s perfect for loosening your sauce so it’s the perfect consistency. 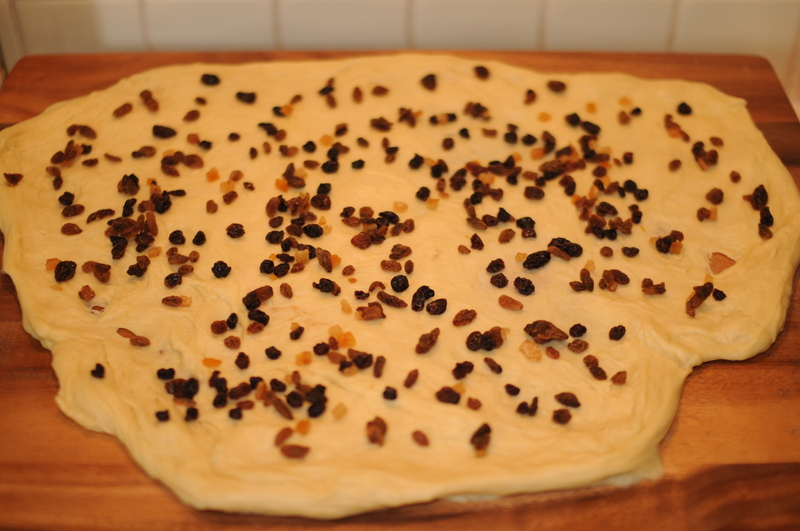 Add your crème fraîche, lemon zest and a grind or 2 of black pepper. 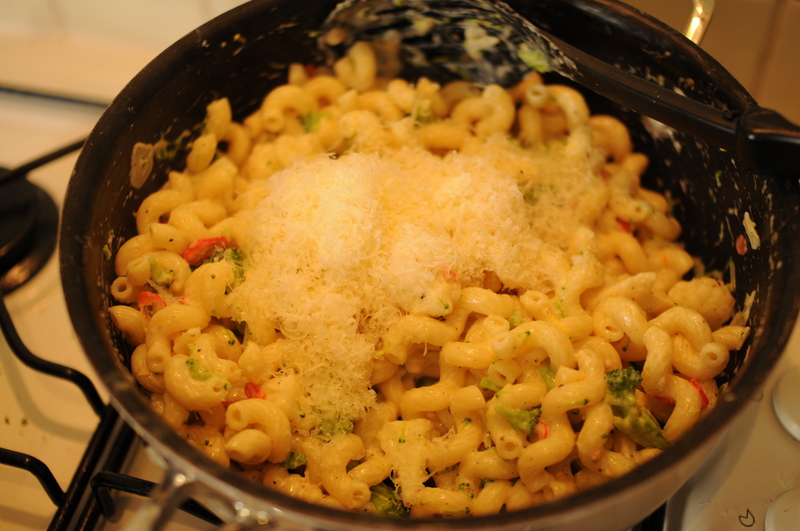 Stir everything together, adding pasta water as needed until the sauce is silky smooth and coating everything. 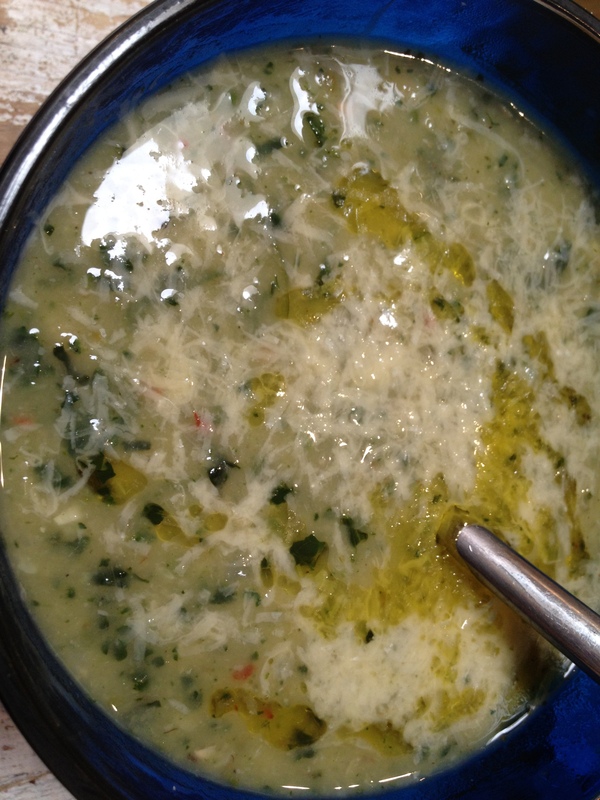 Then turn the heat off and add your parmesan. Now just plate up and finish with a smattering of fresh basil leaves. 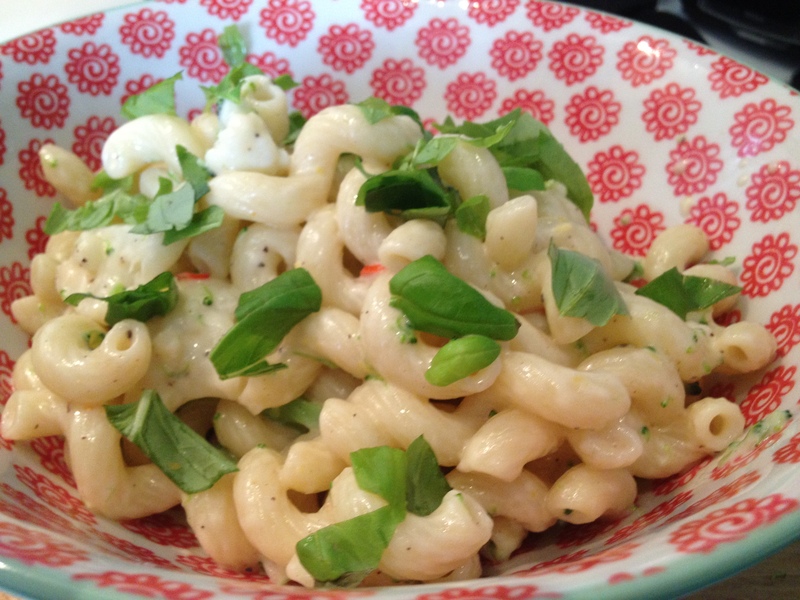 Grab a glass of cold white wine and maybe a simple green salad and head for the garden. I got a message the other week from a friend simply saying “I’m coming to London on Wednesday, cancel all your plans”. A dinner was promptly planned at a friends house and (shockingly) i was asked to bring along dessert. My original plan was to make a dark chocolate and salt caramel tart but then i remembered i had made the somewhat impulsive decision to give up chocolate for lent so that idea had to be scrapped. 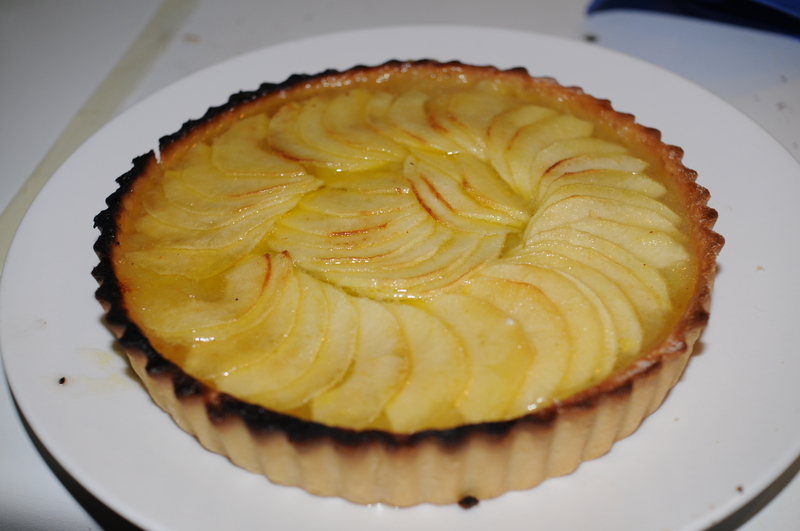 I’m quite glad of this actually as i decided to go for something altogether lighter, an apple tart. 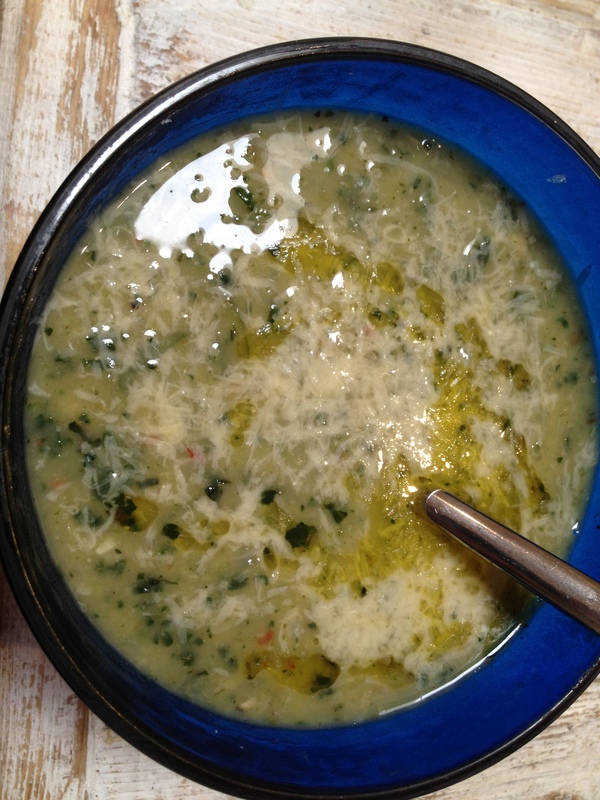 I’ve had this recipe knocking around for a couple of years now and it’s been ages since i last made it, although, having tasted it, i’m at a loss as to why, it’s really light and fresh tasting, whilst also feeling quite indulgent. 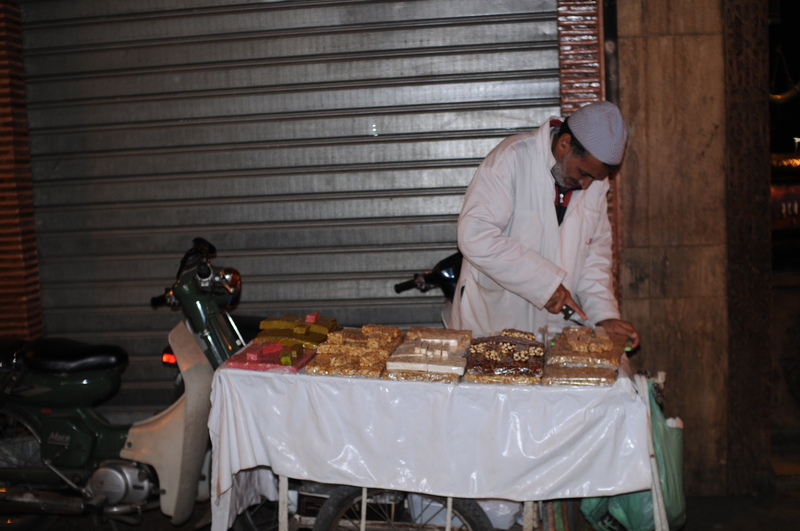 There are still pretty cheap apples to be had everywhere as well which is always handy. It’s also very easy considering how impressive it looks and needs nothing more than a dollop of creme fraiche to go with it. 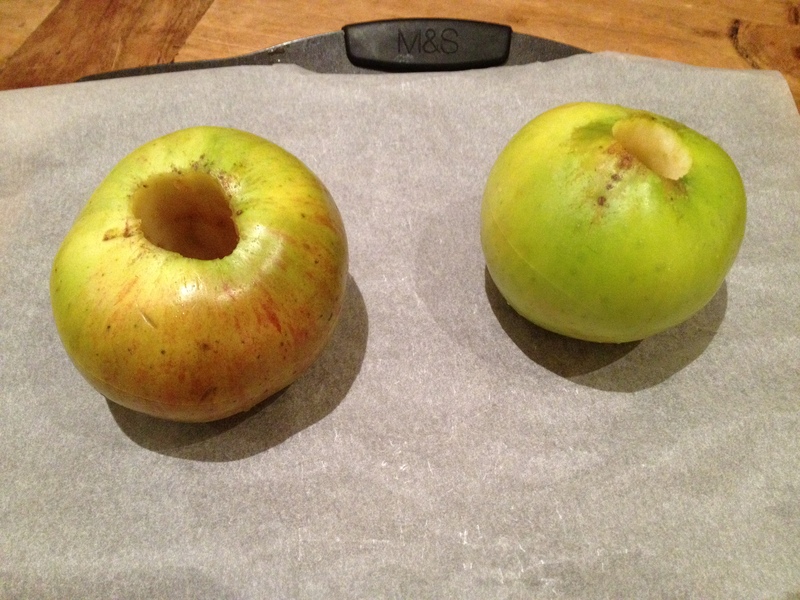 You don’t have to use two different types of apples but it is nice to have to contrast, the bramley apples for the filling have a tartness and texture that you want for the cooked apple and the braeburn being much sweeter and prettier for the top decoration. 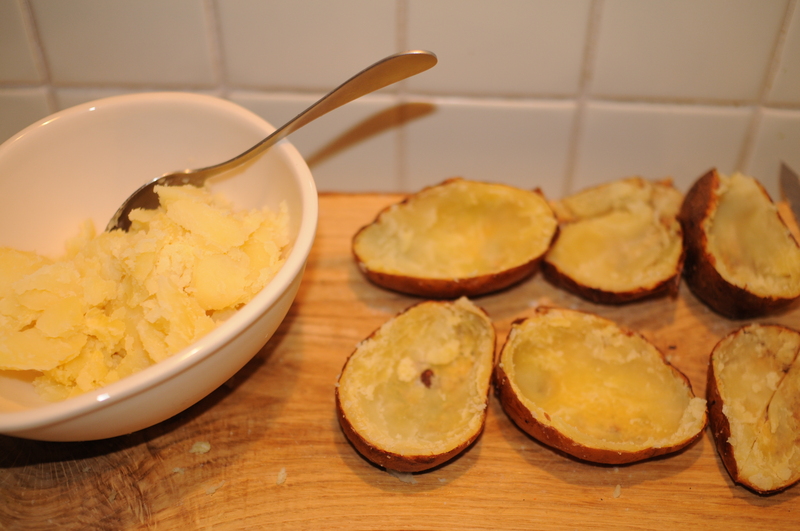 For the pastry, beat the butter, sugar, salt and lemon zest together until creamed together. 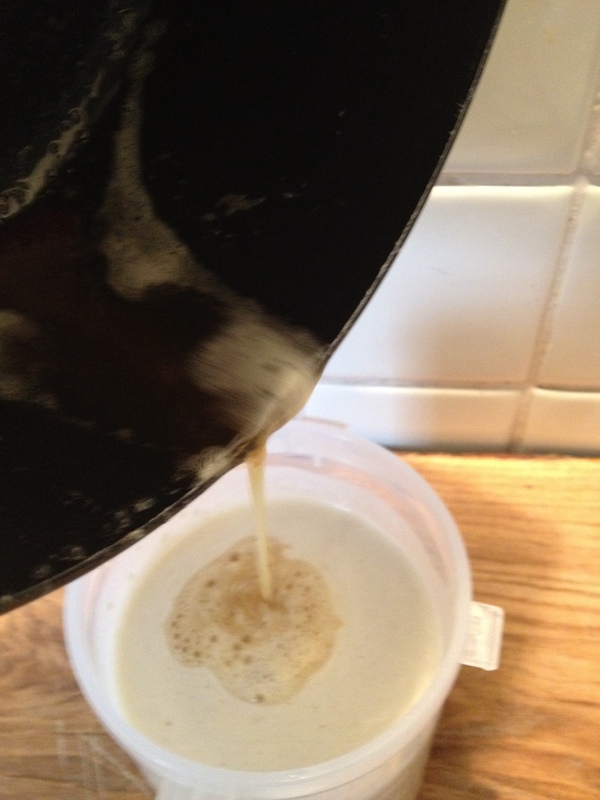 Then add in the egg and a splash of vanilla extract and combine. 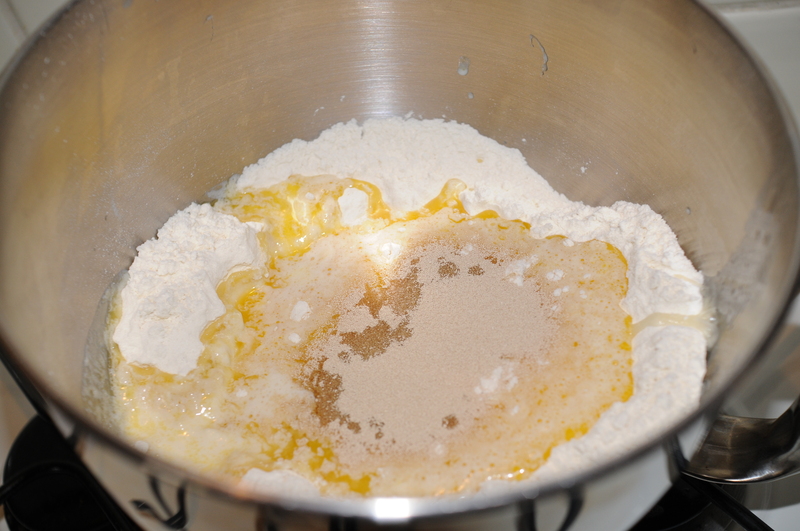 Once everything is mixed, add the flour all in one go and bring together. You don’t want to overwork your pastry or it will go tough so as soon as it comes together in a ball, cling film it and put it in the fridge to rest for half an hour – an hour. 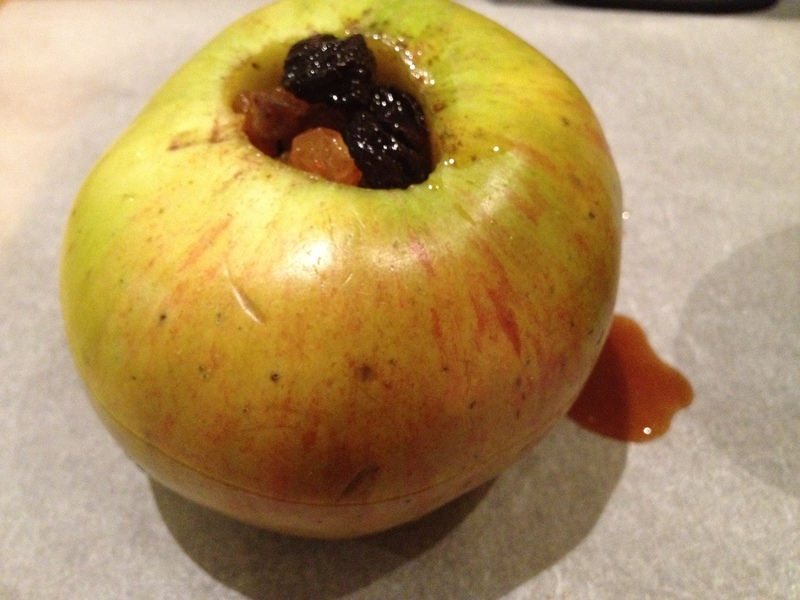 For the apple compote, melt the butter and add the caster sugar. 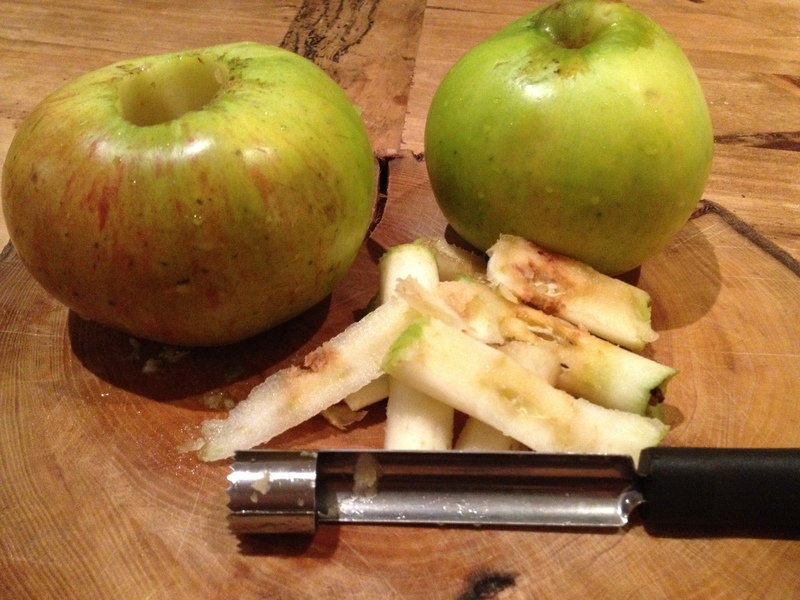 When the sugar has dissolved, add the bramley apples, the lemon zest and the vanilla. Preheat the oven to 190C. Take the pastry out of the fridge and smoosh together with your hand so that it’s pliable and all the same temperature (the outside gets colder than the middle so the smooshing together will even things out and make it easier to roll). 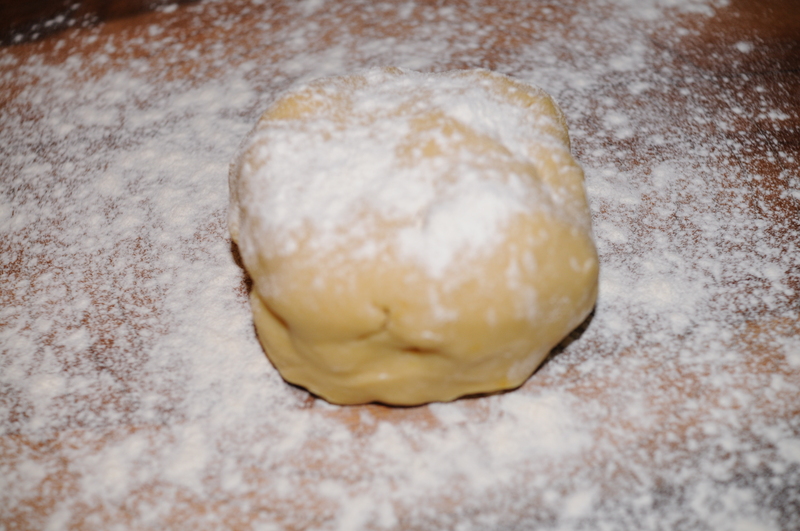 Dust the surface and the pastry with flour and roll the pastry out to about 2-3mm thick and gently ease it into a loose bottomed tart tin, carefully pressing it in. Stab the pastry base and sides all over with a fork, this will allow steam to escape during cooking, preventing the pastry from shrinking and puffing up on the base. Put back in the fridge for 15 minutes. 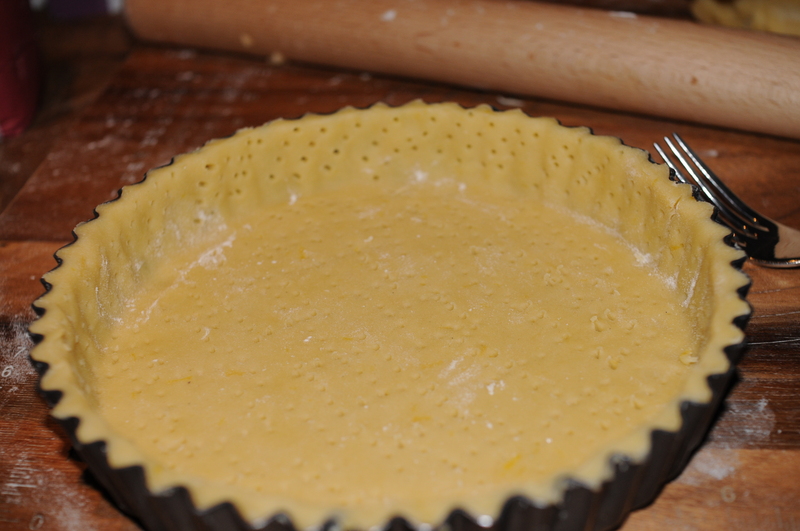 Next you need to blind bake the pastry, this involves covering the pastry with some parchment paper and weighting it down (this is also to prevent shrinkage, you won’t end up with a tart case if you skip this step, just a flat disc of tough pastry). 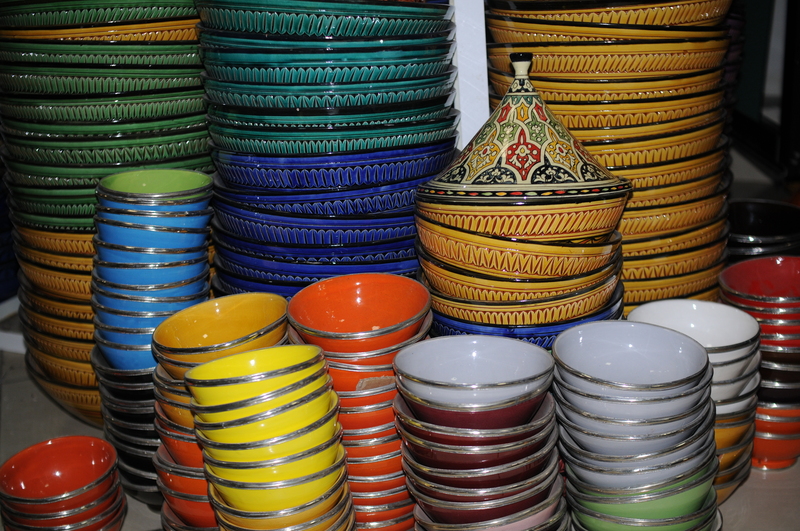 You can buy ceramic baking beans for this but the best thing is to use rice/lentils/dried beans, anything you have knocking around your cupboard- these can be used over and over again. Bake until the sides are turning golden, then remove the baking beans and put back in the oven until light golden all over. You don’t want it to get too much colour. 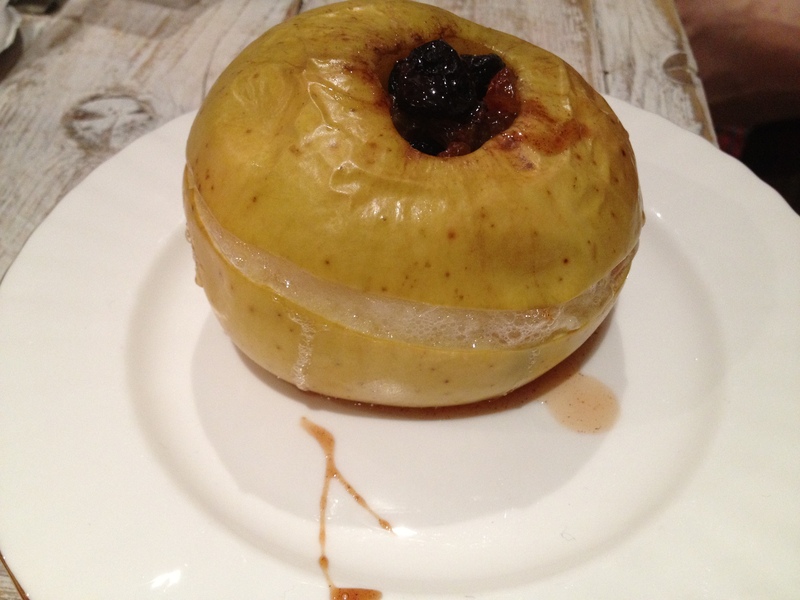 and top with the sliced braeburn apples. 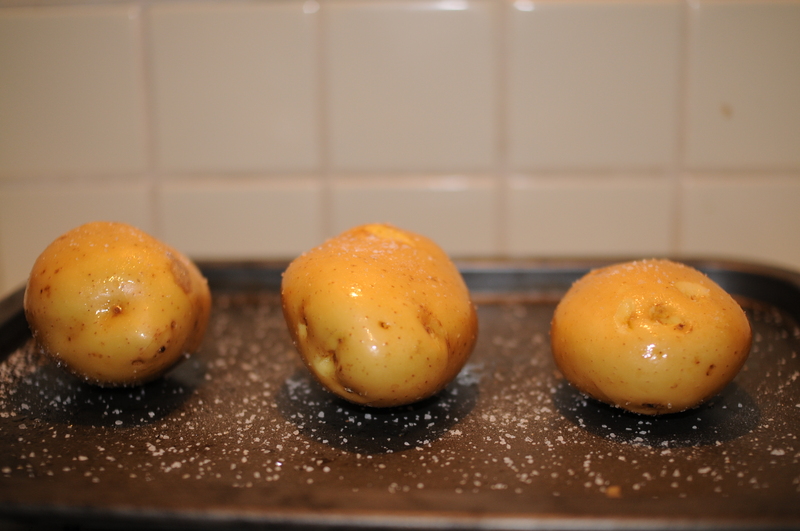 Brush with the melted butter and sprinkle over the caster sugar. 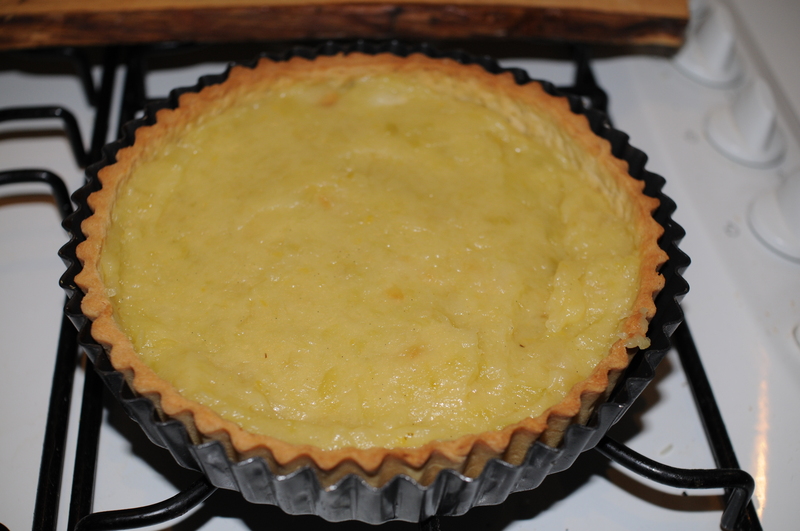 Turn the oven up to 230C and put the tart back in the oven until the top is lightly golden-keep an eye on it (do not wonder off to go and do your make up). And that is why i’m saying keep an eye on it! If that happens, don’t freak out, it happens to the best of us, just scrape it off and carry on, no one even batted an eyelid and it was still yum. 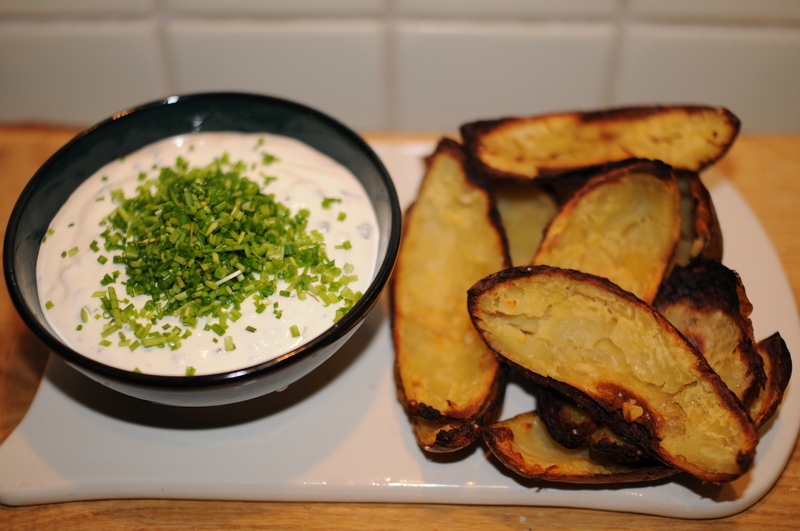 Now all you have to do is serve up with a pot of creme fraiche and let everyone dig in. I woke up this morning in a bit of a panic “aah, i haven’t done a pancake post and it’s pancake day tomorrow!” Now i’m sure that a lot of you out there are thinking, “er, calm down, it’s just pancake day and also, you’re a bit of a weirdo”. This may be very true, but i’m a serious fan of pancake day, you can have thick ones, thin ones, ricotta ones, buckwheat ones, souffle ones- the list goes on and on. You can make them sweet or savoury and put pretty much anything in them or on them that you can think of and it’ll probably be delicious. Given that i have to run out the door in a couple of hours to a two hour salsa class (i am going to be such a pro in a few weeks, just you wait and see) i don’t have much time to do anything too elaborate. Also i’m guessing that most of you don’t want to spend hours making something anyway, you just want to consume as many pancakes as possible on the one day a year that it’s not seen as weird. 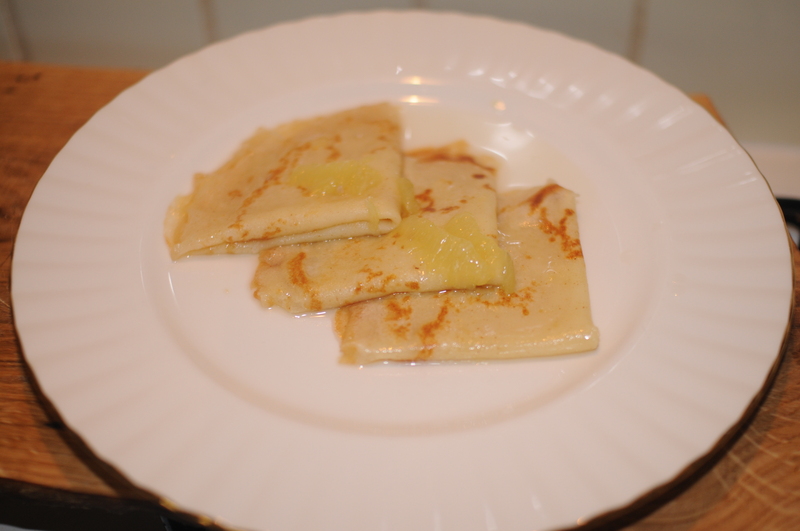 With that in mind, i thought i’d share one of my favourite recipes, it’s a French classic and a twist on the good old lemon and sugar. 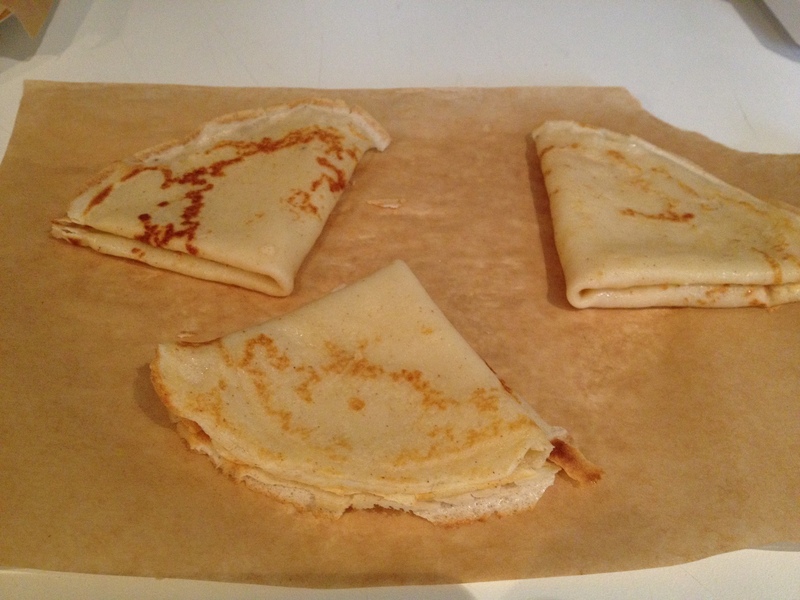 If you wanted to make savoury crepes/pancakes then simply leave out the 10g of sugar in the batter and you’re good to go. 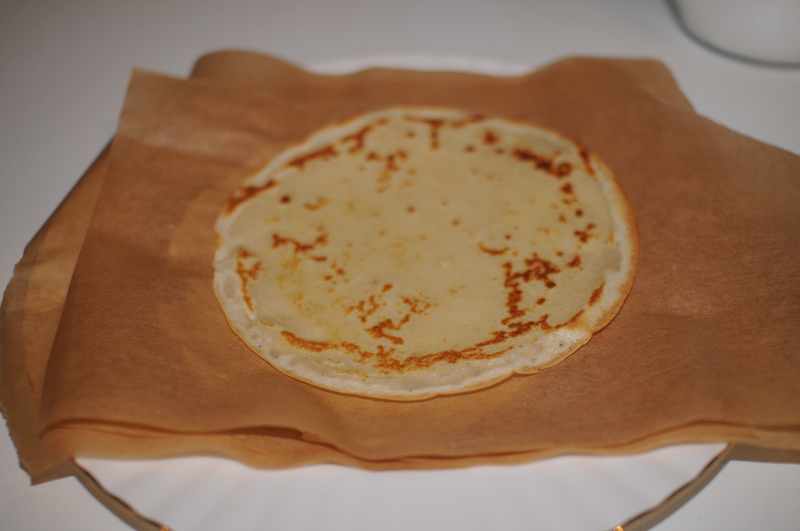 Happy pancaking everyone! 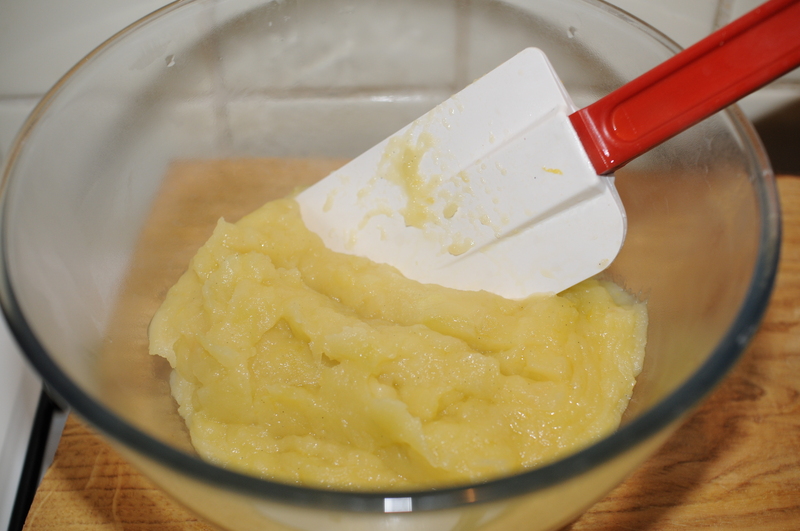 First of all, get your batter on the go as you need to let it rest for a while. 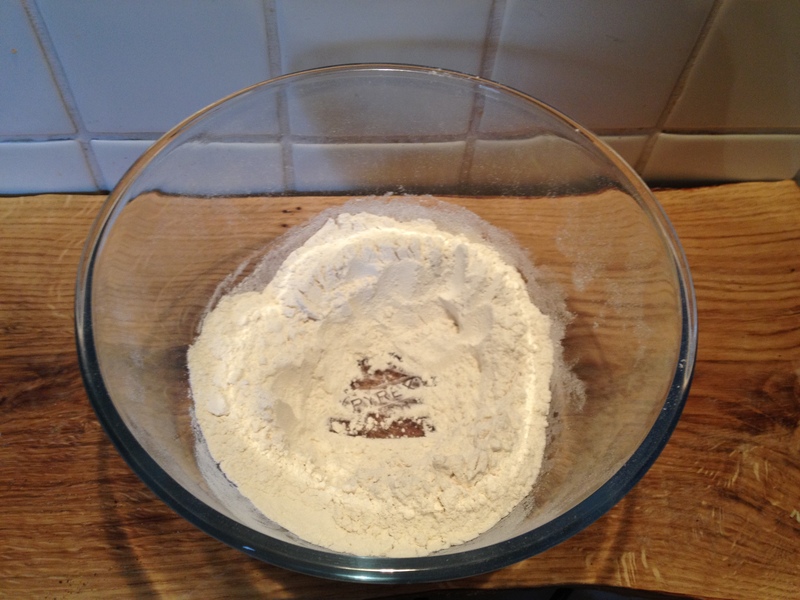 Sift the flour, sugar and salt into a bowl (and actually sift it, no one likes a lumpy crepe). 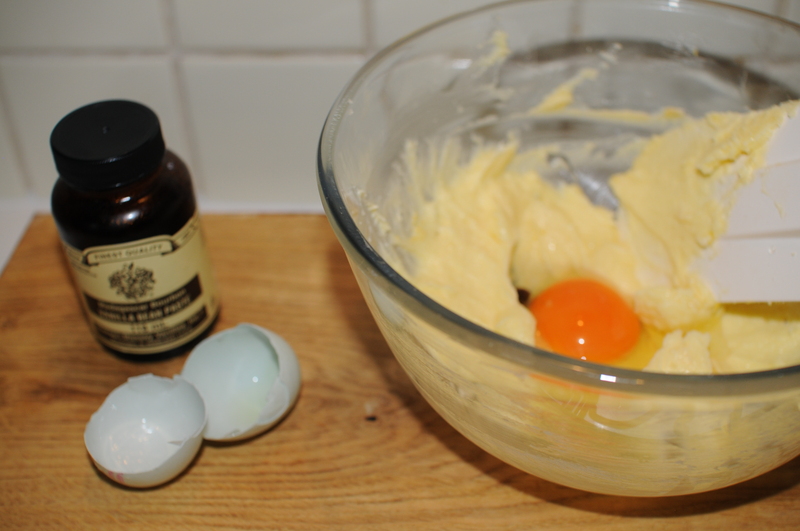 Make a well in the centre and add the beaten egg. 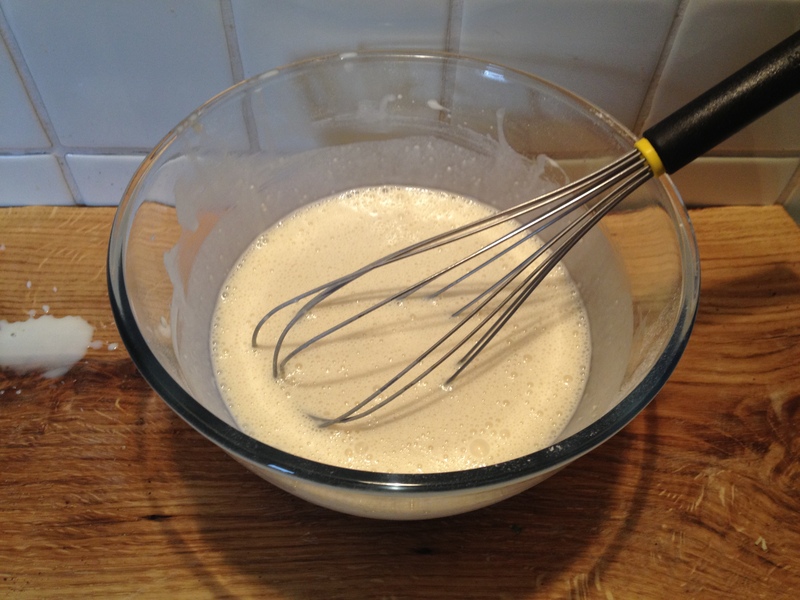 Start to whisk and then gradually add the milk until you have a smooth batter. 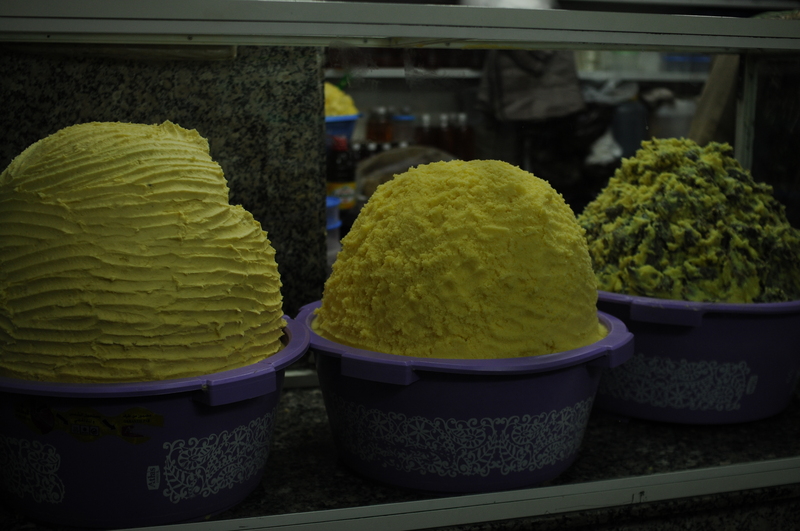 Melt the butter and cook it until its brown an smells nutty-not black and smells burnt. 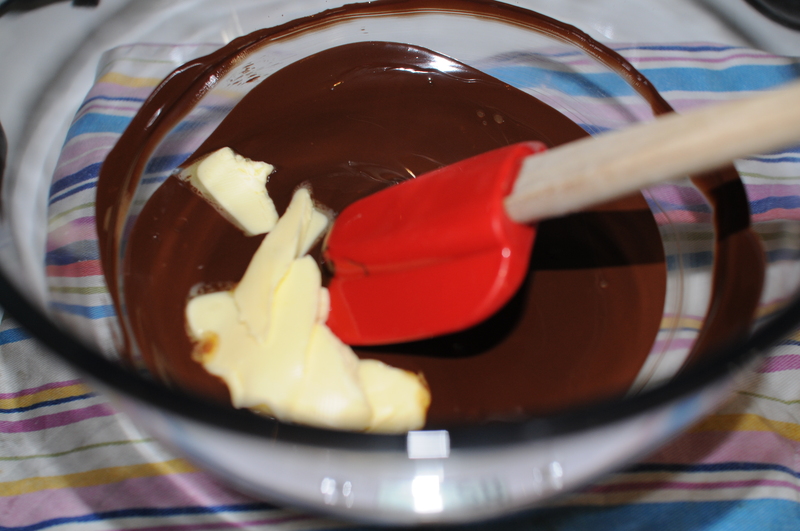 Add to the batter. Cling film the bowl or pour into tupperware and let it rest in the fridge for 20-30 minutes, this will help ensure a nice smooth batter. 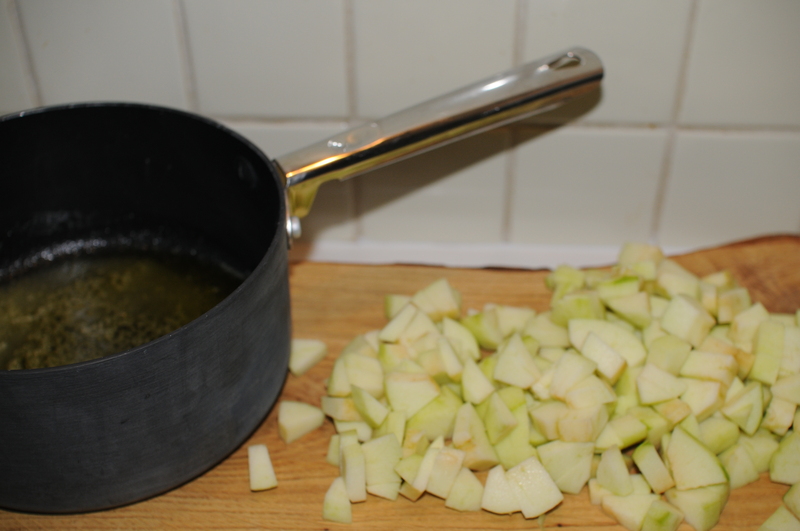 In a saucepan, put the sugar, the juice of one lemon and 50ml of water and bring to the boil. 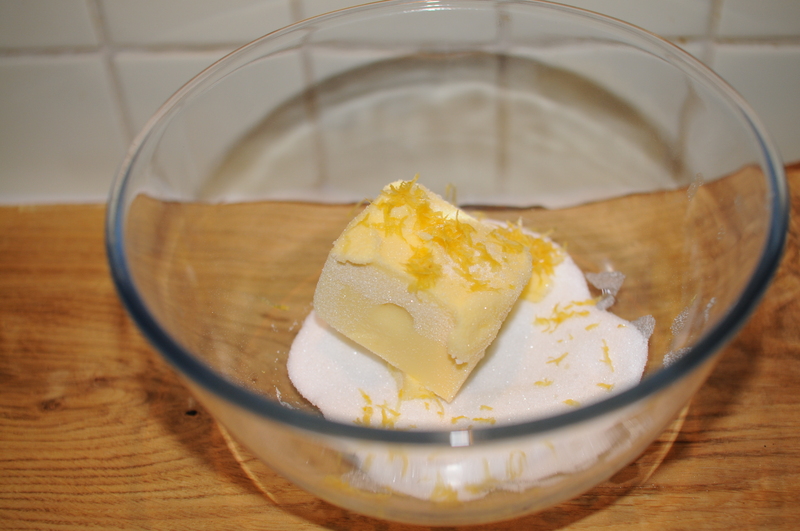 I’ve given quite a variable amount of sugar as it’s completely dependent on how sweet you like things, i love really tart lemony things so i only use 60g but you’ll probably want more so just keep adding sugar and tasting until it’s sweet enough for you. 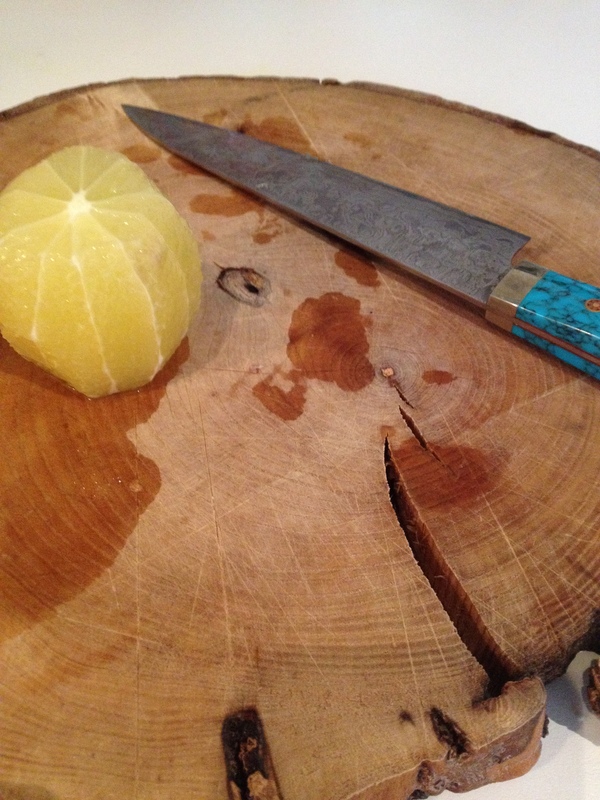 While the syrup is heating, supreme the other lemon. 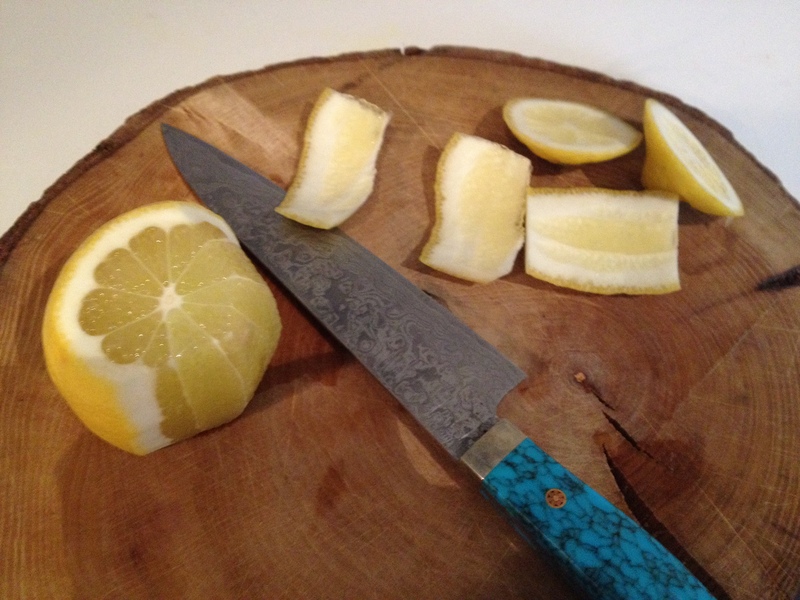 To do this, you cut off the top and the bottom of the lemon and then cut off the skin around the outside, making sure to remove all the white. 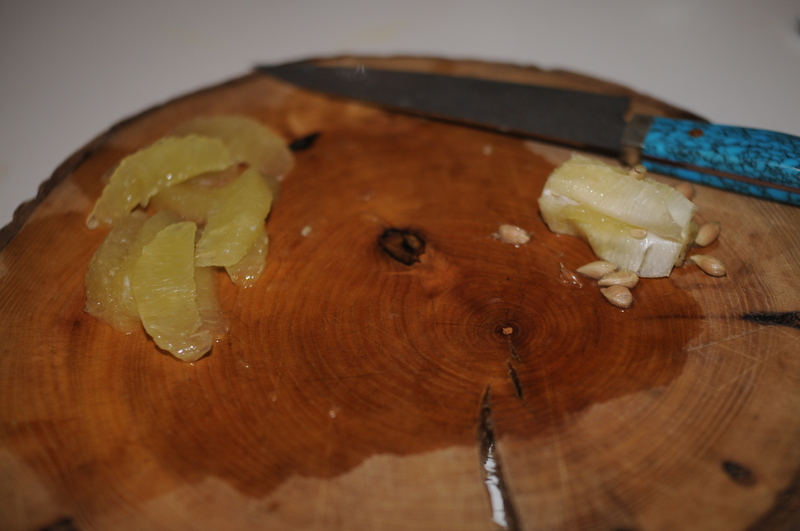 Next, cut between the membrane of each segment so that you end up with all the segments devoid of anything around them. 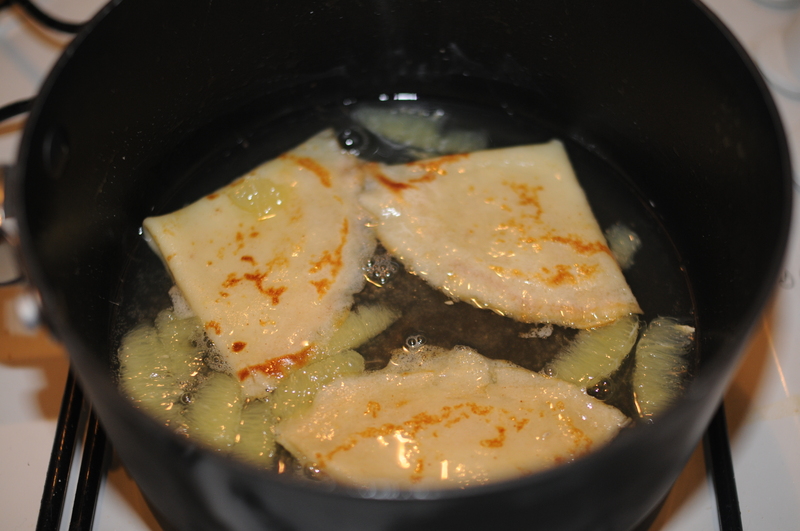 Once the syrup has come to the boil, take it off the heat and a the lemon segments. 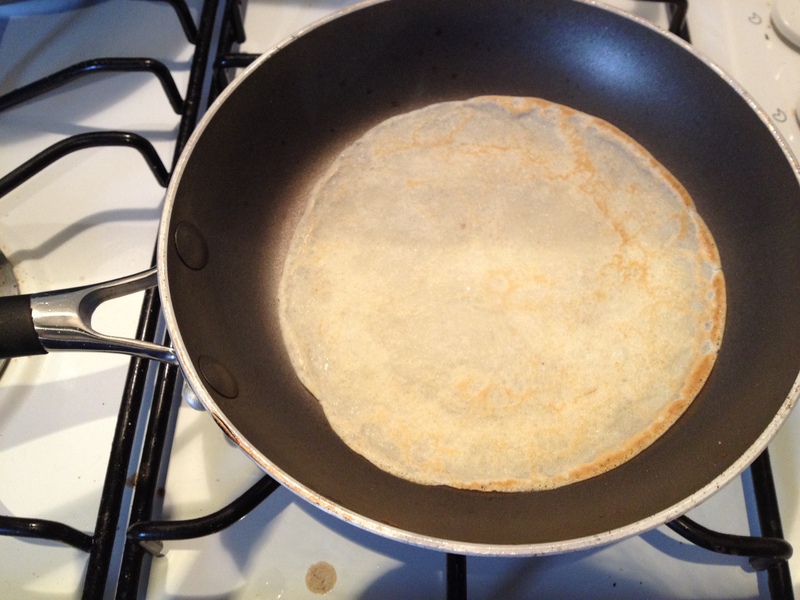 Next up, make your crepes, wipe a little flavourless oil around your pan, i like to do small ones as i think they’re cuter but do whatever size you like. 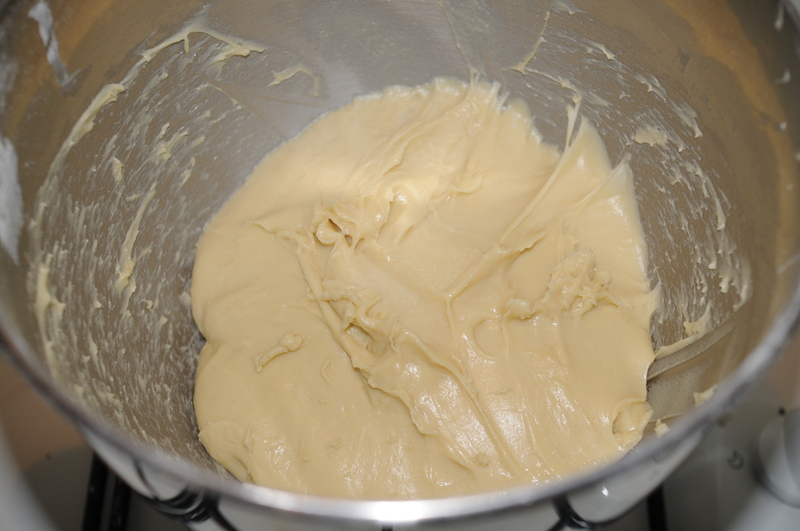 Bring your pan up to a medium heat and add just enough batter to cover the bottom of the pan. Cook one side, then flip. 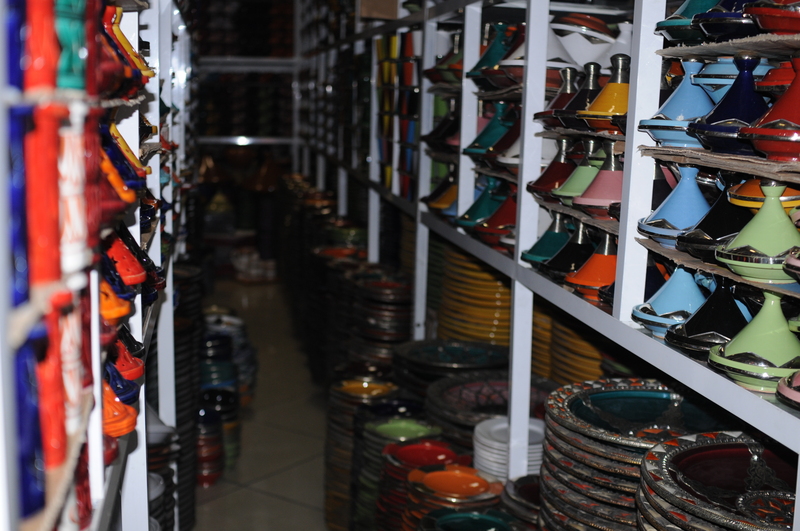 You only want them lightly coloured, don’t let them get too brown. You want 3 of these little crepes per person. 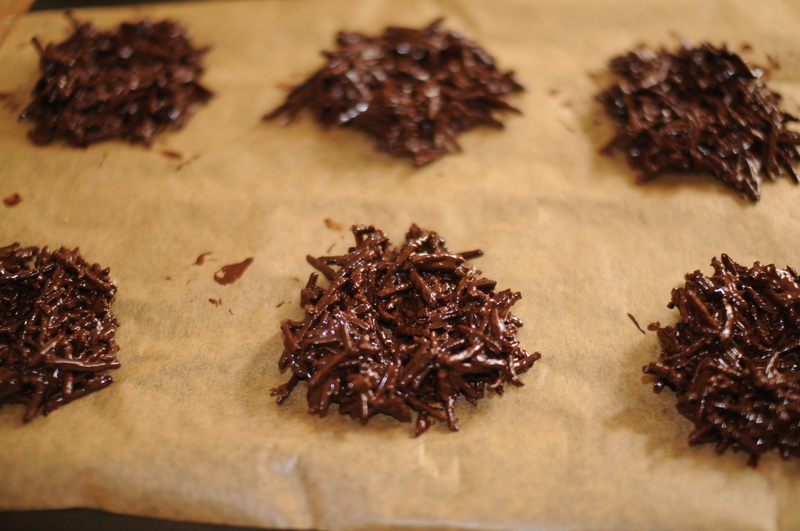 Cook them one by one and then stack them up between baking paper until you need them. 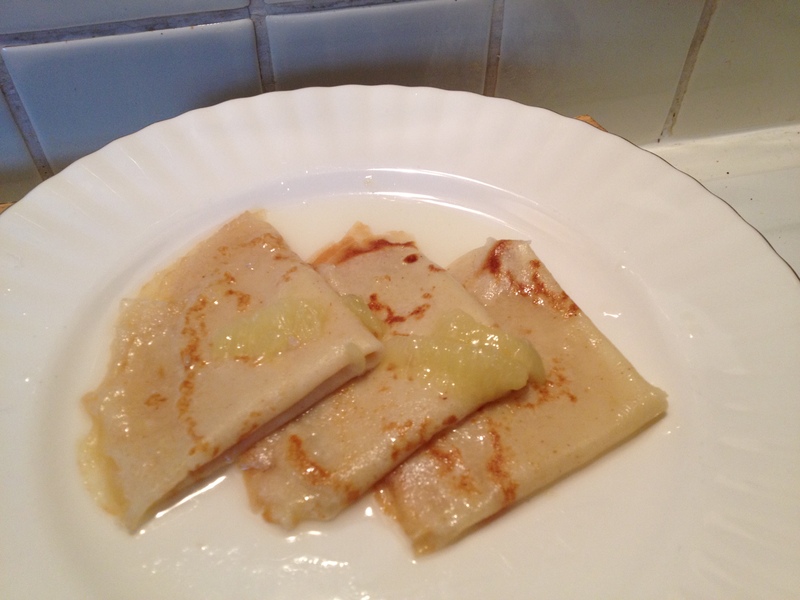 Once you’ve cooked them all, fold each crepe into 4 and warm up the syrup. 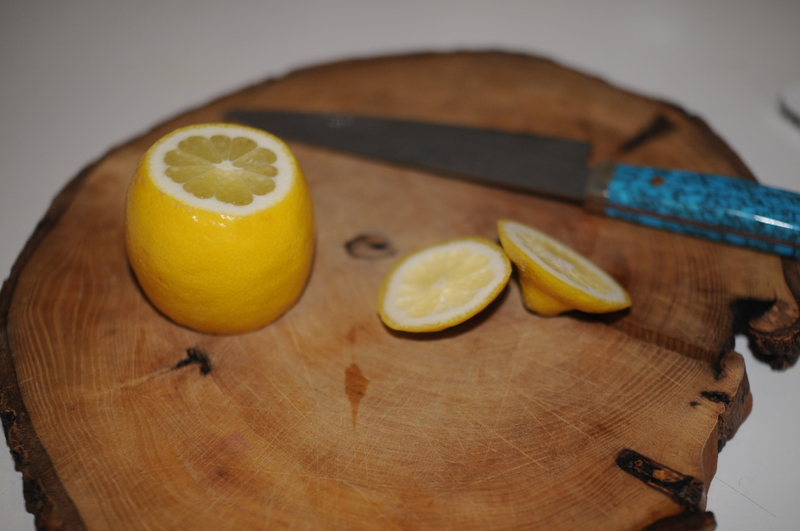 Now all that’s left to do is serve them up, making sure to get some syrup and a few of the lemon segments.